After an ambush killed four US special forces and five local soldiers in #Tongo_Tongo, a village in the northern part of the #Tillabéri region close to Niger’s border with Mali, Boubacar Diallo’s phone rang constantly. That was back in October 2017. Journalists from around the world were suddenly hunting for information on Aboubacar ‘petit’ Chapori, a lieutenant of #Islamic_State_in_the_Greater_Sahara, or #ISGS – the jihadist group that claimed the attack. Diallo, an activist who had been representing Fulani herders in peace negotiations with Tuareg rivals, had met Chapori years earlier. He was surprised by his rapid – and violent – ascent. But he was also concerned. While it was good that the brewing crisis in the remote Niger-Mali borderlands was receiving some belated attention, Diallo worried that the narrow focus on the jihadist threat – on presumed ISGS leaders Chapori, Dondou Cheffou, and Adnan Abou Walid Al Sahrawi – risked obscuring the real picture. Those concerns only grew later in 2017 when the G5 Sahel joint force was launched – the biggest military initiative to tackle jihadist violence in the region, building on France’s existing Operation Barkhane. Diallo argues that the military push by France and others is misconceived and “fanning the flames of conflict”. And he says the refusal to hold talks with powerful Tuareg militants in #Mali such as Iyad Ag Ghaly – leader of al-Qaeda-linked JNIM, or the Group for the support of Islam and Muslims – is bad news for the future of the region. Niger Defence Minister Kalla Moutari dismissed criticism over the G5 Sahel joint force, speaking from his office in Niamey, in a street protected by police checkpoints and tyre killer barriers. More than $470 million has been pledged by global donors to the project, which was sponsored by France with the idea of coordinating the military efforts of Mauritania, Mali, #Burkina_Faso, Niger, and Chad to fight insurgencies in these countries. “It’s an enormous task to make armies collaborate, but we’re already conducting proximity patrols in border areas, out of the spotlight, and this works,” he said. According to Moutari, however, development opportunities are also paramount if a solution to the conflict is to be found. He recalled a meeting in the Mauritanian capital, Nouakchott, in early December 2018, during which donors pledged $2.7 billion for programmes in the Sahel. “We won’t win the war with guns, but by triggering dynamics of development in these areas,” the minister said. A European security advisor, who preferred not to be identified, was far more pessimistic as he sat in one of the many Lebanese cafés in the Plateau, the central Niamey district where Western diplomats cross paths with humanitarian workers and the city’s upper-class youth. The advisor, who had trained soldiers in Mali and Burkina Faso, said that too much emphasis remained on a military solution that he believed could not succeed. 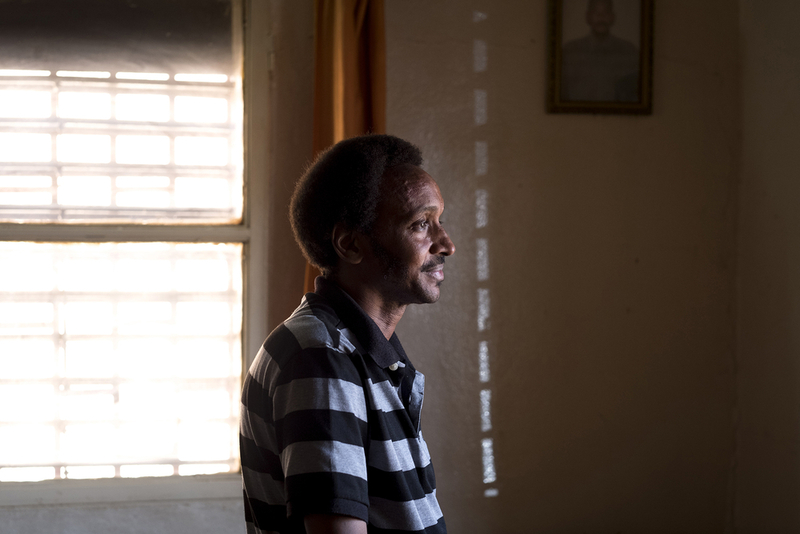 In his home in east Niamey, Diallo came to a similar conclusion: labelling all these groups “jihadists” and targeting them militarily will only create further problems. To explain why, he related the long history of conflict between Tuaregs and Fulanis over grazing lands in north Tillabéri. 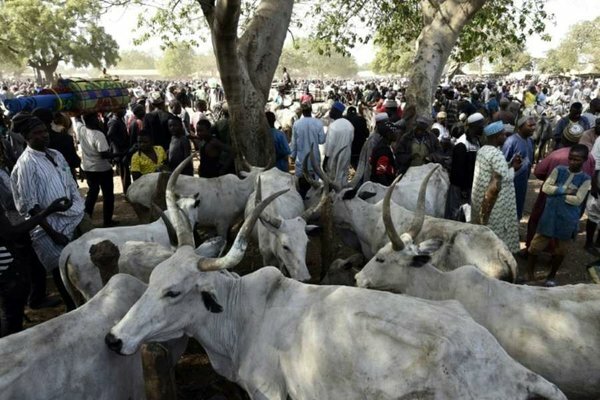 The origins of the conflict, he said, date back to the 1970s, when Fulani cattle herders from Niger settled in the region of Gao, in Mali, in search of greener pastures. Tensions over access to land and wells escalated with the first Tuareg rebellions that hit both Mali and Niger in the early 1990s and led to an increased supply of weapons to Tuareg groups. While peace agreements were struck in both countries, Diallo recalled that 55 Fulani were killed by armed Tuareg men in one incident in Gao in 1997. After the massacre, some Fulani herders escaped back to Niger and created the North Tillabéri Self-Defence Militia, sparking a cycle of retaliation. More than 100 people were killed in fighting before reconciliation was finally agreed upon in 2011. The Nigerien Fulani militia dissolved and handed its arms to the Nigerien state. The Movement for Oneness and Jihad in West Africa (known as MUJAO, or MOJWA in English), created by Arab leaders in Mali in 2011, exploited the situation to recruit among Fulanis, who were afraid of violence by Tuareg militias. ISGS split from MUJAO in 2015, pledging obedience to ISIS leader Abu Bakr al-Baghdadi. He said the French forces use Tuareg militias, such as GATIA (the Imghad Tuareg Self-Defence Group and Allies) and the MSA (Movement for the Salvation of Azawad), to patrol borderlands between Mali and Niger. Fulani civilians were killed during some of these patrols in Niger in mid-2018, further exacerbating tensions. According to a UN report, these militias were excluded from an end of the year operation by French forces in Niger, following government requests. If some kind of reconciliation is the only way out of the conflict in Tillabéri and the neighbouring Nigerien region of Tahoua, Mahamadou Abou Tarka is likely to be at the heart of the Niger government’s efforts. 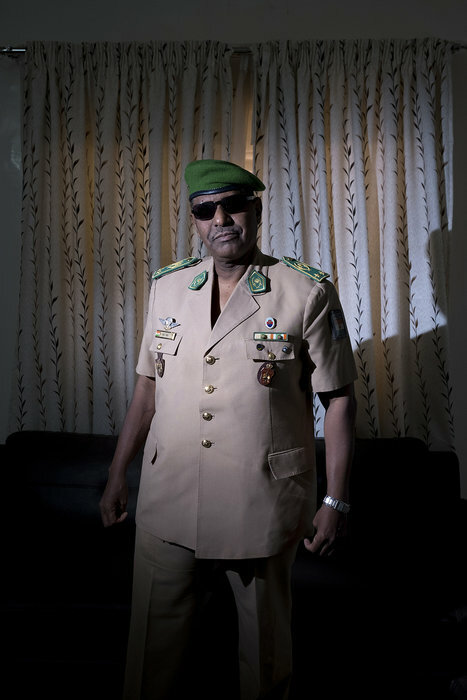 The Tuareg general leads the High Authority for the Consolidation of Peace, a government agency launched following the successive Tuareg rebellions, to ensure peace deals are respected. The Authority – whose main financial contributor is the European Union, followed by France, Switzerland, and Denmark – has launched projects to support some of the communities suffering from violence near the Malian border. “Water points, nurseries, and state services helped us establish a dialogue with local chiefs,” the general explained. Abou Tarka hailed the return to Niger from Mali of 200 Fulani fighters recruited by ISGS in autumn 2018 as the Authority’s biggest success to date. He said increased patrolling on the Malian side of the border by French forces and the Tuareg militias - Gatia and MSA - had put pressure on the Islamist fighters to return home and defect. The general said he doesn’t want to replicate the programme for former Boko Haram fighters from the separate insurgency that has long spread across Niger’s southern border with Nigeria – 230 of them are still in a rehabilitation centre in the Diffa region more than two years after the first defected. “In Tillabéri, I want things to be faster, so that ex-fighters reintegrate in the local community,” he said. Because these jihadist fighters didn’t attack civilians in Niger – only security forces – it makes the process easier than for ex-Boko Haram, who are often rejected by their own communities, the general said. The Fulani ex-fighters are often sent back to their villages, which are governed by local chiefs in regular contact with the Authority, he added. A member of the Nigerien security forces who was not authorised to speak publicly and requested anonymity said that since November 2018 some of these Fulani defectors have been assisting Nigerien security forces with border patrols. However, Amadou Moussa, another Fulani activist, dismissed Abou Tarka’s claims that hundreds of fighters had defected. Peace terms put forward by Fulani militants in northern Tillabéri hadn’t even been considered by the government, he said. “Fighters with jihadist groups are ready to give up their arms if incursions by Tuareg militias stop, emergency state measures are retired, and some of their colleagues released from prison,” Moussa said. The government, he added, has shown no real will to negotiate. Meanwhile, the unrest continues to spread, with the French embassy releasing new warnings for travellers in the border areas near Burkina Faso, where the first movements of Burkinabe refugees and displaced people were registered in March. @reka : pour mettre à jour la carte sur l’Etat islamique ? The Guardian understands the home secretary thinks section 40(2) of the British Nationality Act 1981 gives him the power to strip Begum of her UK citizenship. He wrote to her family informing them he had made such an order, believing the fact her parents are of Bangladeshi heritage means she can apply for citizenship of that country – though Begum says she has never visited it. This is crucial because, while the law bars him from making a person stateless, it allows him to remove citizenship if he can show Begum has behaved “in a manner which is seriously prejudicial to the vital interests of the UK” and he has “reasonable grounds for believing that the person is able, under the law of a country or territory outside the UK, to become a national of such a country or territory”. What do we know about citizenship stripping? The Bureau began investigating the Government’s powers to deprive individuals of their British citizenship two years ago. The project has involved countless hours spent in court, deep and detailed use of the freedom of information act and the input of respected academics, lawyers and politicians. The Counter-Terrorism Bill was presented to Parliament two weeks ago. New powers to remove passports from terror suspects and temporarily exclude suspected jihadists from the UK have focused attention on the Government’s citizenship stripping powers, which have been part of the government’s counter-terrorism tools for nearly a decade. A deprivation order can be made where the home secretary believes that it is ‘not conducive’ to the public good for the individual to remain in the country, or where citizenship is believed to have been obtained fraudulently. The Bureau focuses on cases based on ‘not conducive’ grounds, which are related to national security and suspected terrorist activity. Until earlier this year, the Government was only able to remove the citizenship of British nationals where doing so wouldn’t leave them stateless. However, in July an amendment to the British Nationality Act (BNA) came into force and powers to deprive a person of their citizenship were expanded. Foreign-born, naturalised individuals can now be stripped of their UK citizenship on national security grounds even if it renders them stateless, a practice described by a former director of public prosecutions as being “beloved of the world’s worst regimes during the 20th century”. So what do we know about how these powers are used? 53 people have been stripped of their British citizenship since 2002 – this includes both people who were considered to have gained their citizenship fraudulently, as well as those who have lost it for national security reasons. 48 of these were under the Coalition government. Since 2006, 27 people have lost their citizenship on national security grounds; 24 of these were under the current Coalition government. In 2013, home secretary Theresa May stripped 20 individuals of their British citizenship – more than in all the preceding years of the Coalition put together. The Bureau has identified 18 of the 53 cases, 17 of which were deprived of their citizenship on national security grounds. 15 of the individuals identified by the Bureau who lost their citizenship on national security grounds were abroad at the time of the deprivation order. At least five of those who have lost their nationality were born in the UK. The previous Labour government used deprivation orders just five times in four years. Hilal Al-Jedda was the first individual whose deprivation of citizenship case made it to the Supreme Court. The home secretary lost her appeal as the Supreme Court justices unanimously ruled her deprivation order against Al-Jedda had made him illegally stateless. Instead of returning his passport, just three weeks later the home secretary issued a second deprivation order against him. This was one of two deprivation of citizenship cases to have made it to the Supreme Court, Britain’s uppermost court, to date. In November 2014 deprivation of citizenship case number two reached the Supreme Court, with the appellant, Minh Pham, also arguing that the deprivation order against him made him unlawfully stateless. Two of those stripped of their British citizenship by Theresa May in 2010, London-born Mohamed Sakr and his childhood friend Bilal al Berjawi, were later killed by US drone strikes in Somalia. One of the individuals identified by the Bureau, Mahdi Hashi, was the subject of rendition to the US, where he was held in secret for over a month and now faces terror charges. Only one individual, Iraqi-born Hilal al-Jedda, is currently known to have been stripped of his British citizenship twice. Number of Bureau Q&As on deprivation of citizenship: one. When a British man took a holiday to visit relatives in Pakistan in January 2012 he had every reason to look forward to returning home. He worked full time at the mobile phone shop beneath his flat in southeast London, he had a busy social life and preparations for his family’s visit to the UK were in full flow. Two years later, the man, who cannot be named for legal reasons, is stranded in Pakistan, and claims he is under threat from the Taliban and unable to find work to support his wife and three children. He is one of 27 British nationals since 2006 who have had their citizenship removed under secretive government orders on the grounds that their presence in the UK is ‘not conducive to the public good’. He is the first to speak publicly about his ordeal. Under current legislation, the Home Secretary, Theresa May, has the power to strip dual nationals of their British citizenship if she deems their presence in the UK ‘not conducive to the public good’, or if their nationality was gained on fraudulent grounds. May recently won a Commons vote paving the way to allow her to strip the citizenship of foreign-born or naturalised UK nationals even if it rendered them stateless. Amendments to the Immigration Bill – including the controversial Article 60 concerning statelessness – are being tabled this week in the House of Lords. A Bureau investigation in December 2013 revealed 20 British nationals were stripped of their citizenship last year – more than in all previous years under the Coalition combined. Twelve of these were later revealed to have been cases where an individual had gained citizenship by fraud; the remaining eight are on ‘conducive’ grounds. Since 2006 when the current laws entered force, 27 orders have been made on ‘conducive’ grounds, issued in practice against individuals suspected of involvement in extremist activities. The Home Secretary often makes her decision when the individual concerned is outside the UK, and, in at least one case, deliberately waited for a British national to go on holiday before revoking his citizenship. The only legal recourse to these decisions, which are taken without judicial approval, is for the individual affected to submit a formal appeal to the Special Immigration and Asylum Committee (Siac), where evidence can be heard in secret, within 28 days of the order being given. These appeals can take years to conclude, leaving individuals – the vast majority of whom have never been charged with an offence – stranded abroad. The process has been compared to ‘medieval exile’ by leading human rights lawyer Gareth Peirce. The man, who is referred to in court documents as E2, was born in Afghanistan and still holds Afghan citizenship. He claimed asylum in Britain in 1999 after fleeing the Taliban regime in Kabul, and was granted indefinite leave to remain. In 2009 he became a British citizen. While his immediate family remained in Pakistan, E2 came to London, where he worked and integrated in the local community. Although this interview was conducted in his native Pashto, E2 can speak some English. But, as of March 28 2012, E2 is no longer a British citizen. After E2 boarded a flight to Kabul in January 2012 to visit relatives in Afghanistan and his wife and children in Pakistan, a letter containing May’s signature was sent to his southeast London address from the UK Border Agency, stating he had been deprived of his British nationality. In evidence that remains secret even from him, E2 was accused of involvement in ‘Islamist extremism’ and deemed a national security threat. He denies the allegation and says he has never participated in extremist activity. E2 says he had no way of knowing his citizenship had been removed and that the first he heard of the decision was when he was met by a British embassy official at Dubai airport on May 25 2012, when he was on his way back to the UK and well after his appeal window shut. The Home Office disputed that E2 was unaware of the order against him, and a judge ruled that he was satisfied ‘on the balance of probabilities’ that E2 did know about the removal of his citizenship. ‘[W]e do not believe his statement,’ the judge added. His British passport was confiscated and, after spending 18 hours in an airport cell, E2 was made to board a flight back to Kabul. He has remained in Afghanistan and Pakistan ever since. It is from Pakistan that he agreed to speak to the Bureau last month. Daniel Carey, who is representing E2 in a fresh appeal to Siac, says: ‘The practice of waiting until a citizen leaves the UK before depriving them of citizenship, and then opposing them when they appeal out of time, is an intentional attack on citizens’ due process rights. While rules governing hearings at Siac mean some evidence against E2 cannot be disclosed on grounds of national security, the Bureau has been able to corroborate key aspects of E2’s version of events, including his best guess as to why his citizenship was stripped. His story revolves around an incident that occurred thousands of miles away from his London home and several years before he saw it for the last time. In November 2008, Afghan national Zia ul-Haq Ahadi was kidnapped as he left the home of his infirmed mother in Peshawar, Pakistan. The event might have gone unnoticed were he not the brother of Afghanistan’s then finance minister and former presidential hopeful Anwar ul-Haq Ahadi. Anwar intervened, and after 13 months of tortuous negotiations with the kidnappers, a ransom was paid and Zia was released. E2 claims to have been the man who drove a key negotiator to Zia’s kidnappers. The source confirmed a man matching E2’s description was involved in the negotiations. E2 guesses – since not even his lawyers have seen specific evidence against him – that it was this activity that brought him to the attention of British intelligence services. After this point, he was repeatedly stopped as he travelled to and from London and Afghanistan and Pakistan to visit relatives four times between the end of 2009 and the beginning of 2012. ‘MI5 questioned me for three or four hours each time I came to London at Heathrow airport,’ he says. ‘They said people like me [Pashtun Afghans] go to Waziristan and from there you start fighting with British and US soldiers. He claims he was shown a photo of his wife – a highly intrusive action in conservative Pashtun culture – as well as one of someone he was told was Sirajuddin Haqqani, commander of the Haqqani Network, one of the most lethal TTP-allied groups. ‘They said I met him, that I was talking to him and I have connections with him. I said that’s wrong. I told [my interrogator] that you can call [Anwar al-Ahady] and he will explain that he sent me to Waziristan and that I found and released his brother,’ E2 says. E2 says he has no idea whether Haqqani was involved in Zia’s kidnapping, but he believes the security services may have started investigating him when he met the imam of a mosque he visited in North Waziristan. ‘The imam had lunch with us and he was with me while I was waiting for my father-in-law. I didn’t take his number but I gave him mine. That imam often called me on my shop’s BT telephone line [in London]. These calls put me in trouble,’ he says. If E2’s version of events is accurate, it would mean he gained his British citizenship while he was negotiating Zia’s release. He lost it less than three years later. When challenged specifically on allegations made by E2, the spokesman said the Home Office does not comment on individual cases. E2 says he now lives in fear for his safety in Pakistan. Since word has spread that he lost his UK nationality, locals assume he is guilty, which he says puts him at risk of attack from the Pakistani security forces. In addition, he says his family has received threats from the Taliban for his interaction with MI5. E2 is not alone in fearing for his life after being exiled from Britain. Two British nationals stripped of their citizenship in 2010 were killed a year later by a US drone strike in Somalia. A third Briton, Mahdi Hashi, disappeared from east Africa after having his citizenship revoked in June 2012 only to appear in a US court after being rendered from Djibouti. E2 says if the government was so certain of his involvement in extremism they should allow him to stand trial in a criminal court. ‘When somebody’s citizenship is revoked if he is criminal he should be put in jail, otherwise he should be free and should have his passport returned,’ he says. 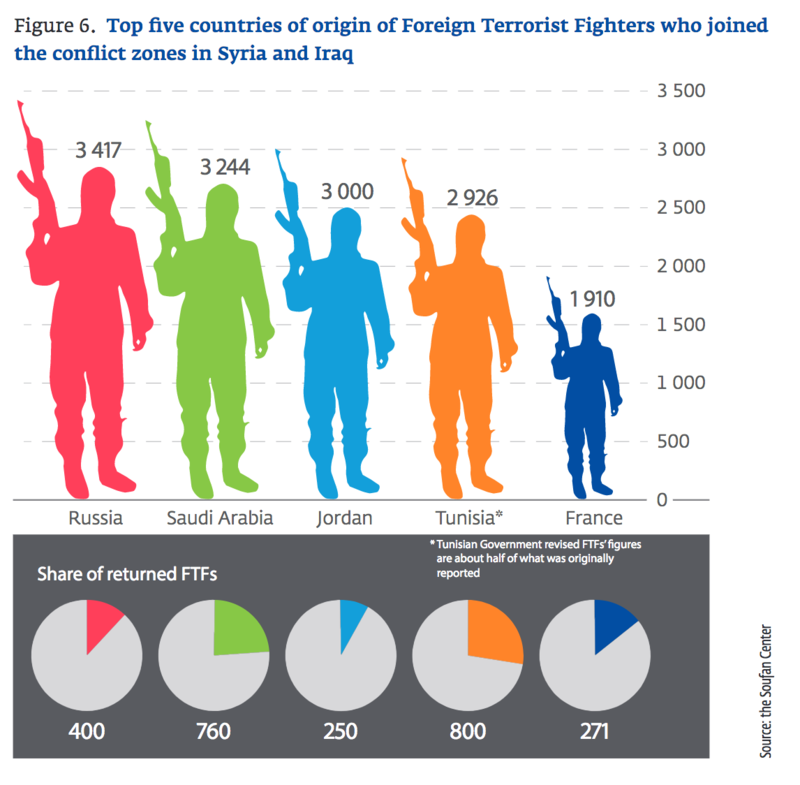 Dall’inizio del conflitto con l’Isis in Iraq, nel 2014, sono stati sfollati oltre 5,8 milioni di iracheni. Oggi, che l’Isis è sconfitto, ne restano ancora quasi 2 milioni. Lo rivela un report dell’agenzia Onu per le migrazioni-Missione in Iraq, che ha fornito aiuti a milioni di persone in tutti i 18 governatorati del Paese. Quasi 2 milioni di sfollati. 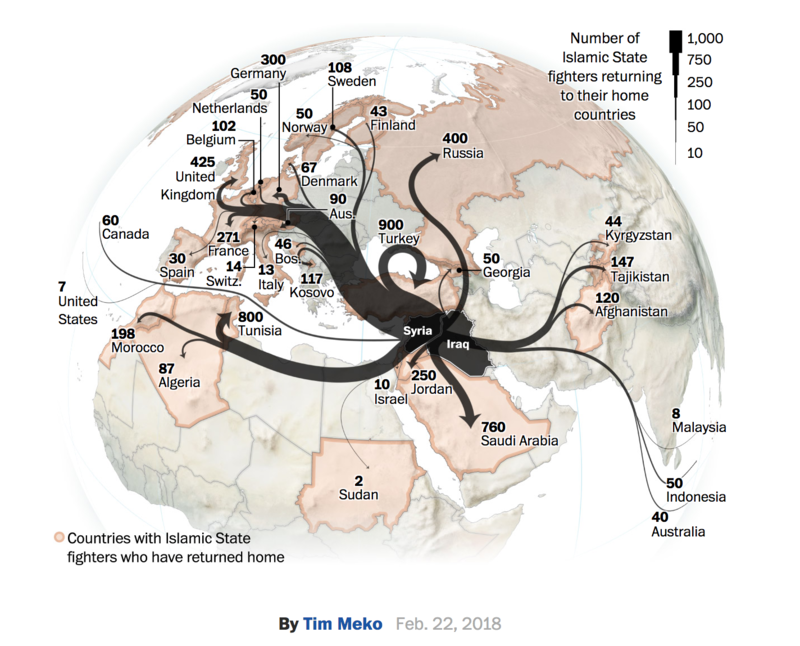 È questa l’eredità lasciata dal cessato conflitto con l’Isis in Iraq. La guerra civile in Iraq è iniziata nel 2014, quando l’Isis aveva lanciato un’offensiva in Siria e Iraq, occupando gran parte del territorio iracheno, dove a giugno prese poi il controllo di Mosul, seconda città del paese, fino a proclamare la costituzione del Califfato e la designazione del suo califfo, Al-Baghdadi, come capo dei musulmani nel mondo. Tre anni di conflitto, concluso a dicembre 2017, che lascia oggi milioni di sfollati che non sono ancora in grado di ridurre la propria vulnerabilità, l’impoverimento e l’emarginazione causati dagli spostamenti forzati durante il conflitto. A rivelarlo è l’Oim (Organizzazione internazionale per le migrazioni) – Missione in Iraq, che ha fornito aiuti a milioni di persone in tutti i 18 governatorati dell’Iraq e ancora continua a monitorare – oggi, nel post-conflitto – la situazione. Secondo il report redatto dall’Oim, dal 2014, a causa del conflitto, sono stati sfollati oltre 5,8 milioni di iracheni: il picco di 570 mila famiglie circa (3,42 milioni di individui) si è toccato ad aprile 2016, per poi scendere a quota 317 mila famiglie (1,9 milioni di persone) a settembre di quest’anno, a quasi un anno di distanza dalla fine del conflitto, dichiarata a dicembre 2017. Benché sia difficile individuare cause e spostamenti reali degli iracheni, dal conflitto ad oggi, l’Oim classifica alcune macro-ragioni di quello che definisce come “dislocamento prolungato“, ovvero la condizione degli sfollati interni che non sono in grado di “sanare” la propria situazione e tornare nella propria terra da almeno tre anni. In due terzi dei paesi monitorati per sfollamenti indotti da conflitti nel 2014, almeno il 50% degli sfollati interni è rimasto nella condizione di sfollato per oltre tre anni. Gli ostacoli vanno dagli alloggi, dopo la distruzione delle proprie abitazioni, alla mancanza dei servizi, ma non mancano problemi psico-emotivi dovuti al cosiddetto stress post-traumatico, in particolare per ciò che riguarda la fascia di popolazione infantile. A farne le spese maggiori sono le fasce più deboli della popolazione, come anziani, famiglie di donne e bambini, malati cronici, individui traumatizzati e appartenenti a gruppi etno-religiosi che sono stati storicamente emarginati o esclusi all’interno di una società più ampia. «Il fatto che questi problemi persistano molto tempo dopo la fine del conflitto – si legge nel report dell’Oim – è un’indicazione che il dislocamento provocato dal conflitto si protrae in parte perché lo status quo ante era di per sé ingiusto e che affrontare questi problemi richiede un approccio trasversale che abbraccia gli aspetti umanitari, lo sviluppo, la costruzione della pace e i settori della sicurezza». Il report dell’Oim fornisce una disamina dettagliata degli sfollati iracheni. Il 60% proviene dal governatorato di Ninewa, seguito dal governatorato di Salah al-Din (13%) e Anbar (12%). Kirkuk, Diyala e, in misura minore, Baghdad e Babilonia, completano l’elenco dei governatorati da cui le persone si sono trasferite con la forza durante la crisi. A partire da settembre 2018, tuttavia, la maggior parte delle persone sfollate da Anbar sono tornate ai luoghi di origine, mentre i tassi di ritorno per gli sfollati di Ninewa rimangono bassi. Una possibile ragione per questo diverso modello probabilmente si riferisce a quando, in particolare, i distretti all’interno di questi governatorati sono stati riconquistati dalle forze irachene. Grandi porzioni di Anbar sono state riconquistate dall’Isis nel 2015. In contrasto, le aree urbane di Ninewa non erano facilmente accessibili agli sfollati interni fino a un anno fa, inclusa la città di Mosul, la seconda più grande città in Iraq. Al culmine del fenomeno, nell’aprile 2016, i campi istituiti per questa crisi hanno protetto solo il 12% degli sfollati interni. Questo rapporto è aumentato al 30% a partire da settembre 2018, a causa di un significativo afflusso di sfollati interni ai campi fino alla fine del 2017 durante le ultime fasi del conflitto. In termini di aree di sfollamento, la regione del Kurdistan in Iraq e i governatorati di Baghdad, Anbar e Ninewa hanno storicamente ospitato un gran numero di sfollati durante questa crisi. A settembre 2018, la regione del Kurdistan in Iraq rimane l’area che ospita il maggior numero di sfollati, seguito dal Governatorato di Ninewa. Popolazioni che comprendono più dei due terzi di tutti gli sfollati interni. In base ai dati raccolti nell’agosto 2018, quasi i due terzi degli sfollati, nel complesso, hanno intenzione di rimanere nei loro luoghi di dislocamento per i prossimi 12 mesi. Case distrutte, mancanza di attività generatrici di reddito, mancanza di servizi di base, discriminazione e scarsa percezione di sicurezza. Sono alcune delle ragioni che portano gli sfollati a non tornare nei propri luoghi di origine, nonostante la fine del conflitto. La distribuzione di queste motivazioni definisce i contorni del fenomeno. Quando viene chiesto di elencare i tre principali motivi per cui non hanno intenzione di tornare ai loro luoghi di origine all’interno il prossimo anno, il 41% degli sfollati interni elenca la propria casa distrutta o danneggiata come un fattore determinante in questa decisione. Ma non solo: la mancanza di attività generatrici di reddito nel luogo di origine è stata citata dal 21% degli sfollati intervistati. Siamo a quota 9%, invece, per quanto riguarda la fornitura di servizi di base; si sale al 17% per la paura di discriminazione. Circa il 14% degli sfollati interni potrebbe essere involontariamente bloccato nello spostamento perché le autorità non permetterebbero i ritorni nei loro luoghi di origine a causa di problemi di sicurezza, mentre il 26% cita una mancanza di forze di sicurezza nelle loro aree di origine. Le violenze estreme perpetrate dall’Isis, e le conseguenti operazioni militari per eliminarle, hanno avuto un forte impatto su grandi fasce della popolazione ed è probabile che in alcuni continuino a verificarsi sintomi di trauma e disagio psicologico, compreso il disturbo post-traumatico da stress. Un recente studio sui bambini sfollati e le loro famiglie ha rivelato che i bambini colpiti da questo conflitto hanno vissuto qualche forma di trauma e sofferenza psicologica. I sintomi più gravi sono stati riscontrati in bambini che vivevano sotto l’Isis per lunghi periodi rispetto a quelli che erano stati sfollati ancora prima nel conflitto. Inoltre, i genitori hanno riferito di essere preoccupati per il benessere dei loro figli e per gli effetti che il trauma potrebbe avere su di loro. Il 31% degli sfollati interni indica la paura o il trauma come motivo per non tornare ai loro luoghi di origine entro il prossimo anno. Questo è più diffuso tra gli sfollati interni dal governatorato di Diyala. Inoltre, il 13% degli sfollati segnala che i loro bambini (di età inferiore a 18 anni) mostrano segni di disagio psicologico. Gli sfollati originari di Kirkuk denunciano l’angoscia tra i loro figli due volte più frequentemente rispetto ad altri governatorati. Il conflitto in Iraq ebbe i suoi esordi nell’estate del 2014, quando l’Isis lanciò un’offensiva in Siria e Iraq, occupando gran parte del territorio iracheno, dove a giugno prese il controllo di Mosul, seconda città del paese. L’improvvisa offensiva al Nord dell’Iraq rafforzò notevolmente l’esercito dello Stato islamico dell’Iraq e del Levante, che riversò uomini e mezzi dal confine siriano. Benché, infatti, le forze armate irachene fossero più numerose dei miliziani islamisti, l’offensiva dell’Isis costrinse il governo iracheno a dichiarare lo stato di emergenza. 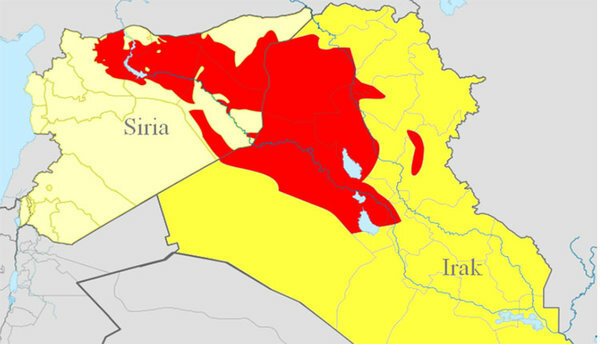 Da quel momento la guerra divenne regionale, coinvolgendo Siria e Iraq, ormai privi di una reale frontiera tra i due paesi. Il 29 giugno 2014, Da’esh proclamò la nascita del Califfato tra Siria e Iraq. In un audio postato su internet, l’Isis designa il suo capo Abu Bakr al-Baghdadi “califfo”, ovvero il capo dei musulmani nel mondo. «In una riunione, la shura (consiglio di Stato islamico) ha deciso di annunciare l’istituzione del Califfato islamico e di designare un Califfo per lo Stato dei musulmani – ha detto nel messaggio audio su internet Abu Mohammad Al-Adnani, portavoce dell’Isis – Lo sceicco jihadista al-Baghdadi è stato designato califfo dei musulmani». L’avanzata dell’Isis nel paese iracheno proseguì, fino a quando – nell’ottobre del 2016 – ebbe inizio l’offensiva irachena per riprendere Mosul, che determinò di fatto l’avvio delle operazioni decisive per liberare totalmente lo stato iracheno dall’Isis. La guerra civile terminò nel dicembre del 2017 con la caduta di Abu Kamal, ultima grande roccaforte dell’Isis sul confine Siria-Iraq. L’annuncio ufficiale è del 9 dicembre del 2017. «Le nostre forze controllano completamente la frontiera Iraq-Siria e annuncio dunque la fine della guerra contro Daesh – sono le parole del primo ministro iracheno Al-Abadi – Le nostre forze hanno assunto il pieno controllo dei confini con la Siria». È con il recupero degli ultimi territori controllati dagli jihadisti, le province occidentali di Ninive e Al Anbar, che si dichiara chiusa la guerra contro l’Isis. «È avvenuta la liberazione di tutti i territori dell’Iraq dalle bande di Daesh – afferma il vice comandante delle forze irachene congiunte, Abdelamir Yarala – e le nostre forze controllano le frontiere fra Iraq e Siria dal varco di frontiera di Al Walid a quello di Rabia». The result of this kind of displacement is the inability of internally displaced persons to progress toward finding a resolution to their displacement, whether it is eventual return, integration, relocation or some combination thereof. At present, there is limited consensus on what exactly these reasons for displacement are and roughly how many people are affected by each of these reasons. Having such knowledge, though, is a key step in developing a comprehensive strategy for durable solutions for Iraq. 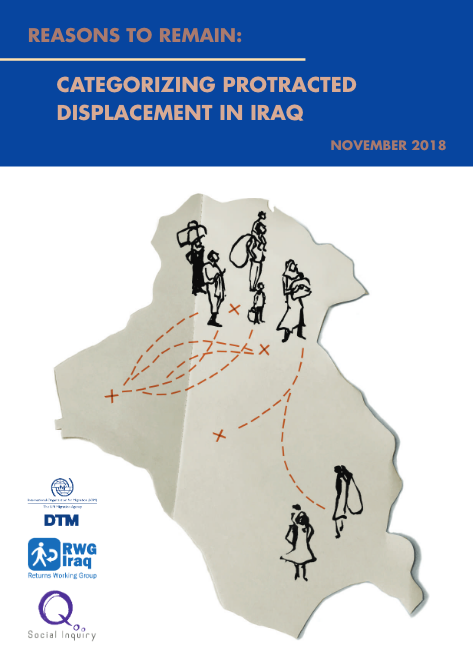 As such, the International Organization for Migration’s (IOM) Displacement Tracking Matrix (DTM) Unit, the Returns Working Group (RWG), and Social Inquiry, with input and support from the Ministry of Migration and Displacement (MoMD) within the Federal Government of Iraq, have conducted an in-depth analysis of existing large-scale datasets as well as other geographically targeted surveys and qualitative studies. 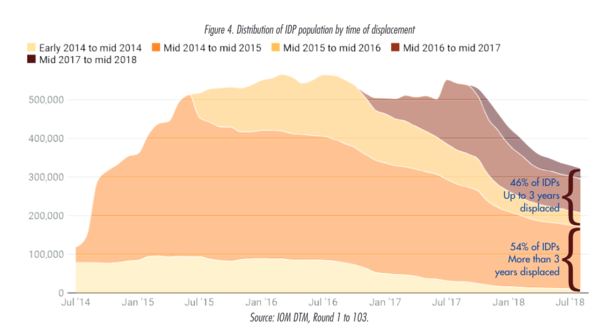 The report provides a brief overview of the theoretical underpinnings of protracted displacement and their implications in the Iraq context, the methodology for this desk review and analysis, a time series of IDP movements, the categorization of reasons IDPs may still be displaced, and a discussion of findings. 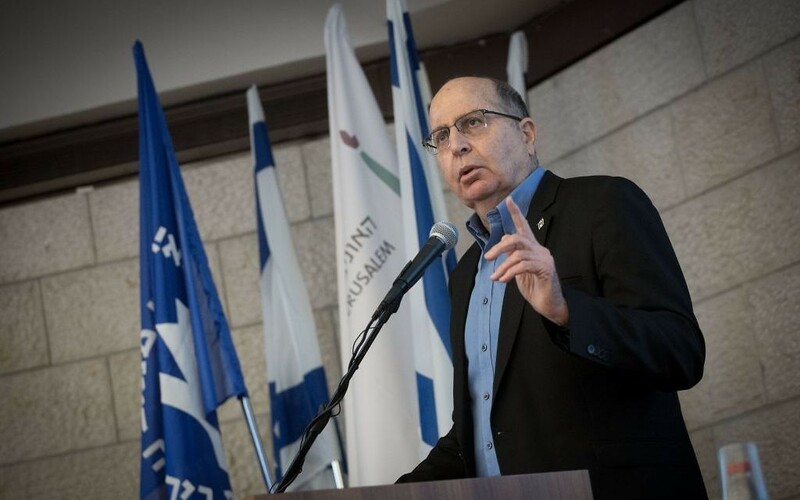 Former defense minister Moshe Ya’alon on Saturday said the Islamic State terrorist group in the Syrian Golan Heights “apologized” for attacking an Israeli unit. “There was one case recently where Daesh opened fire and apologized,” Ya’alon said, using the terror group’s Arabic nickname. Qualunque studente abbia anche solo distrattamente frequentato temi di geografia politica sa che uno Stato, per ritenersi tale, deve avere tre caratteristiche: territorio, popolazione e sovranità. In particolare quest’ultima ha due dimensioni: una “interna”, nel senso che l’autorità dello stato deve essere riconosciuta dai suoi cittadini, e una esterna, poiché lo stato deve ottenere il riconoscimento degli altri stati o, quantomeno, di quelli che hanno maggior peso nella comunità internazionale (su questo un approfondimento sulla recente approvazione di una mozione della Camera dei Comuni britannica, QUI). 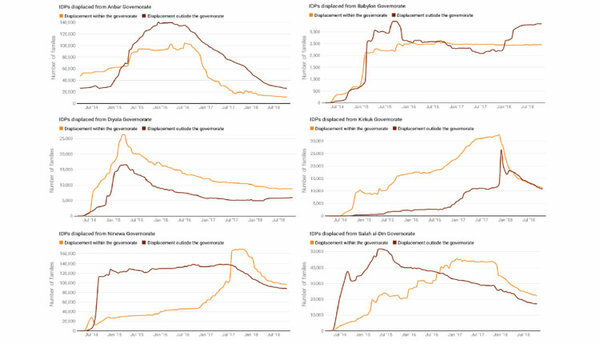 Questo elemento è particolarmente importante perché la comunità degli stati è – almeno in linea teorica – una comunità di pari; chi ne fa parte non può tollerare ingerenze nei propri affari interni e contribuisce, tramite lo stabilirsi di consuetudini e accordi, a dare corpo al diritto internazionale. Il riconoscimento della qualità statuale avviene, generalmente, a seguito di periodi di conflitto o, assai più raramente, come esito di processi pacifici (come nel caso della divisione in due stati della ex Cecoslovacchia) ed è un momento determinante per la definizione del nuovo status quo. Se si tiene conto di questi elementi, certamente ben noti alle cancellerie di tutto il mondo (essendo l’ABC dei rapporti internazionali), appare assolutamente sorprendente (e perfino irresponsabile) il fatto che sia divenuta di uso comune la denominazione ISIS (o IS), condensata in «Stato Islamico», per denominare non tanto un gruppo che contemporaneamente si definisce terroristico, ma un vasto territorio che questo gruppo tende a controllare militarmente. Ciò non avviene soltanto in ambito giornalistico, ma anche ufficiale: se Obama generalmente utilizza la formula “gruppo che chiama se stesso Islamic State” (QUI, minuto 1.38), ormai generalmente non si usa più neanche questa blanda cautela. Tra gli innumerevoli esempi possibili, prendiamo la trascrizione della conferenza stampa del Segretario Generale delle Nazioni Unite Ban Ki-moon (16 settembre 2014) pubblicata sul sito web delle Nazioni Unite (QUI): questa riporta, nella domanda rivolta al Segretario dalla giornalista Pamela Falk (CBS news): “My question is about the very difficult question of foreign terrorist fighters and ISIS [Islamic State in Iraq and the Shams]”. Le parentesi quadre indicano una precisazione redazionale inserita dallo staff delle Nazioni Unite, che traduce l’acronimo riportando senza remore (né perifrasi, come “il sedicente”) la dicitura di “Stato Islamico dell’Iraq e della Siria”. Nello stesso testo l’uso dell’acronimo viene attribuito direttamente al Segretario Generale in una sua risposta a una domanda sull’Iraq (“This is all the more important when it comes to critical posts related to security in view of the threat the country is now facing, particularly by ISIL [Islamic State in Iraq and the Shams]”). Curioso notare come, in questo caso, ci sia anche una incongruenza “geografica”: l’acronimo usato da Ban Ki-moon terminava con la lettera L (per “Levant”: ISIL, Islamic State in Iraq and Levant è infatti uno degli acronimi usati in particolare dagli anglosassoni), ma evidentemente lo staff che trascrive le conferenze stampa ha avuto indicazioni di adottare “the Sham”, che in arabo sta per Siria, in luogo del più vasto e indistinto “Levant”. Così fa anche in questo caso, “correggendo” addirittura il Segretario Generale. Quella sollevata sin qui potrebbe apparire una questione di secondo piano o di dettaglio, soprattutto di fronte ai disastri della guerra e alle atroci decapitazioni divenute ormai drammaticamente abituali nelle immagini dei media; in realtà è ben evidente come in questa guerra si stia puntando molto sull’uso dei media per la propaganda, ed esattamente quello dell’affermazione dell’esistenza di un soggetto statuale (lo Stato Islamico) appare tra i principali obiettivi – peraltro acquisiti – dei combattenti jhadisti. Interessante in proposito il fatto che la denominazione sia nel tempo mutata, a rappresentare il salto di scala che i combattenti vogliono raggiungere. 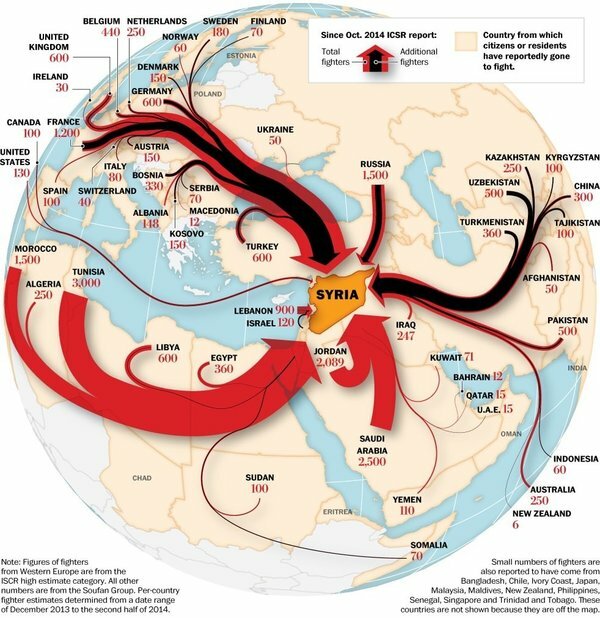 Se inizialmente si puntava all’Iraq e alla Siria o all’Iraq e al Levante (ISIS o ISIL), successivamente la connotazione geografica specifica è stata rimossa, passando a un più generico Islamic State (IS). In questo modo, puntando sull’elemento religioso, la denominazione può risultare più attrattiva (o insultante, a seconda del punto di vista, come si vedrà più oltre) su scala globale. Il risultato è anche quello di “occupare” l’immaginario collettivo: sui non-musulmani il continuo tam tam mediatico che mette in relazione “Stato Islamico” con efferatezza, inusitata violenza e terrore potrebbe provocare, nel breve quanto nel medio termine, effetti tanto gravi quanto facilmente prevedibili. D’altro canto è sufficiente un esperimento mentale per comprendere meglio la situazione. Immaginiamo che il gruppo estremista fosse stato cristiano. Al di là dell’auto-denominazione scelta, si sarebbe ugualmente diffusa a livello mondiale la definizione “Stato Cristiano”? Se mentalmente il primo pensiero che ci viene in mente fosse “i cristiani non fanno mica quelle cose”, l’”occupazione dell’immaginario” cui si faceva riferimento poco sopra diverrebbe ancor più chiara. Se in molti casi la categoria di Stato può generare imponenti tensioni e persino crisi internazionali (è di ieri il riconoscimento della Palestina in quanto Stato da parte della Svezia, e la conseguente durissima reazione di Israele: vedi QUI e QUI), sembra che i portatori delle bandiere nere abbiano ottenuto uno dei risultati più notevoli con ferocissima semplicità, e viene allora da chiedersi se vi fosse una (più o meno inconscia) predisposizione all’accettazione dell’accostamento tra il concetto di Stato Islamico e quello di inusitata violenza. La riflessione sulla denominazione non è però stata del tutto ignorata. In Francia, ad esempio, la direttrice dell’Associated France Press ha spiegato, in un editoriale (QUI) la scelta della prestigiosa agenzia di stampa di non utilizzare più la denominazione “Stato Islamico” (scelta per la verità contraddetta da alcuni titoli e didascalie dell’editoriale stesso). Michèle Lérindon motiva così la decisione: “Nous jugeons que l’expression « Etat islamique » est inappropriée pour deux raisons : un, il ne s’agit pas d’un véritable Etat, avec des frontières et une reconnaissance internationale. Et deux, pour de nombreux musulmans, les valeurs dont se réclame cette organisation ne sont en rien « islamiques ». Le nom « Etat islamique » est donc susceptible d’induire le public en erreur”. In sintesi: non si tratta di uno vero Stato e, per molti musulmani, i valori di questa organizzazione non hanno nulla di “islamico”; per questo la denominazione “Stato Islamico” potrebbe indurre il pubblico in errore e non la useremo. Lo Stato francese utilizza la denominazione “Daesh”; in questo articolo Lettera 43 dà credito all’ipotesi in base alla quale questo termine avrebbe un carattere peggiorativo per assonanza con “dèche” (rotto); France 24 riporta invece, come origine, una denominazione in arabo (QUI). 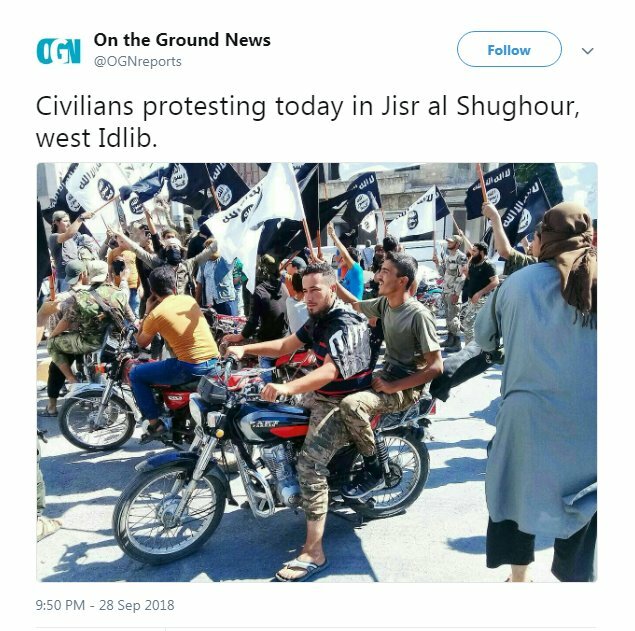 La riflessione sulla denominazione non si limita alla sola Francia: le autorità religiose egiziane suggeriscono l’uso di QSIS, che sta per “Al-Qaeda Separatists in Iraq and Syria”. A parte il riferimento ad Al-Qaeda, in questo caso appare evidente come la denominazione avrebbe un senso diametralmente opposto: definendo il gruppo come “separatista”, rafforzerebbe il concetto delle entità statuali di Siria e Iraq. Il che è perfettamente coerente con i possibili timori dell’Egitto, che, uscendo a fatica da anni di fortissime tensioni interne, può temere il fattore d’attrazione propagandistica che l’idea di uno “Stato Islamico” potrebbe rappresentare. Come riporta The Guardian (QUI) anche un gruppo di Imam e organizzazioni di musulmani britannici premono affinché il loro governo rigetti la denominazione di “Stato Islamico”. Pure in Italia sono stati ripresi spunti di questo dibattito (tra gli altri, ad esempio La Stampa - ed Il Post), ma non sembra che la discussione si sia realmente focalizzata sulle questioni di fondo né che abbia avuto particolari esiti. Proprio per questo come LuogoeSpazio abbiamo deciso di occuparcene, considerando che alcune comuni nozioni di geografia politica, purtroppo, appaiano in Italia scarsamente diffuse. Il danno che potrebbe derivarne, anche nella prospettiva della convivenza tra culture differenti e considerata l’inerzia dell’immgainario collettivo, non è da sottovalutare. Traumatized Afghan child soldiers who were forced to fight in Syria struggle to find protection in Europe’s asylum lottery. Mosa did not choose to come forward. Word had spread among the thousands of asylum seekers huddled inside Moria that social workers were looking for lone children among the general population. High up on the hillside, in the Afghan area of the chaotic refugee camp on the Greek island of Lesbos, some residents knew someone they suspected was still a minor. They led the aid workers to Mosa. The boy, whose broad and beardless face mark him out as a member of the Hazara ethnic group, had little reason to trust strangers. It was hard to persuade him just to sit with them and listen. Like many lone children, Mosa had slipped through the age assessment carried out on first arrival at Moria: He was registered as 27 years old. With the help of a translator, the social worker explained that there was still time to challenge his classification as an adult. But Mosa did not seem to be able to engage with what he was being told. It would take weeks to establish trust and reveal his real age and background. Most new arrivals experience shock when their hopes of a new life in Europe collide with Moria, the refugee camp most synonymous with the miserable consequences of Europe’s efforts to contain the flow of refugees and migrants across the Aegean. When it was built, the camp was meant to provide temporary shelter for fewer than 2,000 people. Since the European Union struck a deal in March 2016 with Turkey under which new arrivals are confined to Greece’s islands, Moria’s population has swollen to 9,000. It has become notorious for overcrowding, snowbound tents, freezing winter deaths, violent protests and suicides by adults and children alike. Asylum claims on Lesbos can take anywhere between six months and more than two years to be resolved. In the second quarter of 2018, Greece faced nearly four times as many asylum claims per capita as Germany. The E.U. has responded by increasing the presence of the European Asylum Support Office (EASO) and broadening its remit so that EASO officials can conduct asylum interviews. But the promises that EASO will bring Dutch-style efficiency conceal the fact that the vast majority of its hires are not seconded from other member states but drawn from the same pool of Greeks as the national asylum service. Meanwhile, the only way to escape Moria while your claim is being processed is to be recognized as a “vulnerable” case. Vulnerables get permission to move to the mainland or to more humane accommodation elsewhere on the island. The term is elastic and can apply to lone children and women, families or severely physically or mentally ill people. In all cases the onus is on the asylum seeker ultimately to persuade the asylum service, Greek doctors or the United Nations Refugee Agency that they are especially vulnerable. The ensuing scramble to get out of Moria has turned the camp into a vast “vulnerability contest,” said Poularakis. It is a ruthless competition that the most heavily traumatized are often in no condition to understand, let alone win. Being a child has never afforded Mosa any protection in the past: He did not understand that his entire future could be at stake. Smugglers often warn refugee children not to reveal their real age, telling them that they will be prevented from traveling further if they do not pretend to be over 18 years old. Like many other Hazara of his generation, Mosa was born in Iran, the child of refugees who fled Afghanistan. Sometimes called “the cursed people,” the Hazara are followers of Shia Islam and an ethnic and religious minority in Afghanistan, a country whose wars are usually won by larger ethnic groups and followers of Sunni Islam. Their ancestry, traced by some historians to Genghis Khan, also means they are highly visible and have been targets for persecution by Afghan warlords from 19th-century Pashtun kings to today’s Taliban. In recent decades, millions of Hazara have fled Afghanistan, many of them to Iran, where their language, Dari, is a dialect of Persian Farsi, the country’s main language. Iran hosts 950,000 Afghan refugees who are registered with the U.N. and another 1.5 million undocumented Afghans. There are no official refugee camps, making displaced Afghans one of the largest urban refugee populations in the world. For those without the money to pay bribes, there is no route to permanent residency or citizenship. Most refugees survive without papers on the outskirts of cities such as the capital, Tehran. Those who received permits, before Iran stopped issuing them altogether in 2007, must renew them annually. The charges are unpredictable and high. Mostly, the Afghan Hazara survive as an underclass, providing cheap labor in workshops and constructions sites. This was how Mosa grew up. But he could not remain invisible forever and one day in October 2016, on his way home from work, he was detained by police for not having papers. Sitting in one of the cantinas opposite the entrance to Moria, Mosa haltingly explained what happened next. How he was threatened with prison in Iran or deportation to Afghanistan, a country in which he has never set foot. How he was told that that the only way out was to agree to fight in Syria – for which they would pay him and reward him with legal residence in Iran. As he talked, Mosa spread out a sheaf of papers from a battered plastic wallet. Along with asylum documents was a small notepad decorated with pink and mauve elephants where he keeps the phone numbers of friends and family. It also contains a passport-sized green booklet with the crest of the Islamic Republic of Iran. It is a temporary residence permit. Inside its shiny cover is the photograph of a scared-looking boy, whom the document claims was born 27 years ago. It is the only I.D. he has ever owned and the date of birth has been faked to hide the fact that the country that issues it has been sending children to war. Mosa is not alone among the Hazara boys who have arrived in Greece seeking protection, carrying identification papers with inflated ages. Refugees Deeply has documented the cases of three Hazara child soldiers and corroborated their accounts with testimony from two other underage survivors. Their stories are of childhoods twice denied: once in Syria, where they were forced to fight, and then again after fleeing to Europe, where they are caught up in a system more focused on hard borders than on identifying the most damaged and vulnerable refugees. Karim’s descent into hell began with a prank. Together with a couple of friends, he recorded an angsty song riffing on growing up as a Hazara teenager in Tehran. Made when he was 16 years old, the song was meant to be funny. His band did not even have a name. The boys uploaded the track on a local file-sharing platform in 2014 and were as surprised as anyone when it was downloaded thousands of times. But after the surprise came a creeping sense of fear. Undocumented Afghan refugee families living in Tehran usually try to avoid drawing attention to themselves. Karim tried to have the song deleted, but after two months there was a knock on the door. It was the police. Already estranged from his family, the teenager was transported from his life of working in a pharmacy and staying with friends to life in a prison outside the capital. After two weeks inside, he was given three choices: to serve a five-year sentence; to be deported to Afghanistan; or to redeem himself by joining the Fatemiyoun. 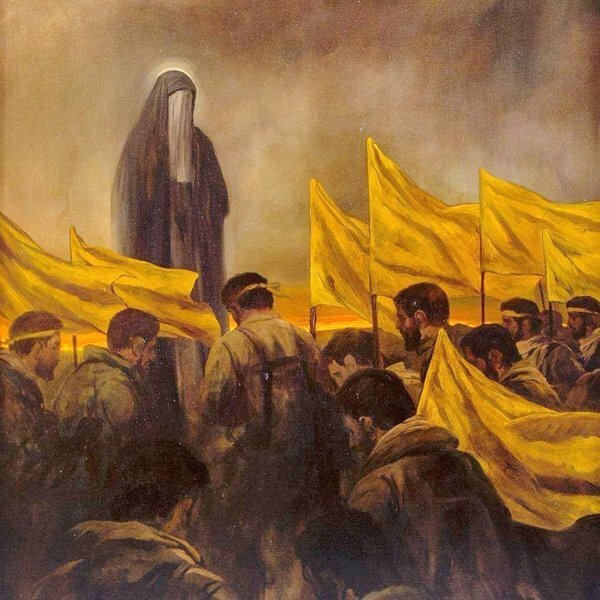 According to Iranian propaganda, the Fatemiyoun are Afghan volunteers deployed to Syria to protect the tomb of Zainab, the granddaughter of the Prophet Mohammad. 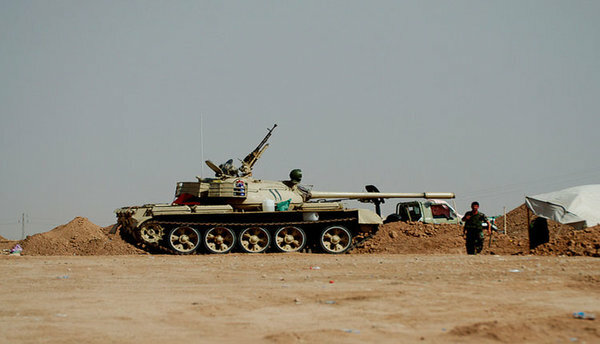 In reality, the Fatemiyoun Brigade is a unit of Iran’s powerful Revolutionary Guard, drawn overwhelmingly from Hazara communities, and it has fought in Iraq and Yemen, as well as Syria. Some estimates put its full strength at 15,000, which would make it the second-largest foreign force in support of the Assad regime, behind the Lebanese militia group Hezbollah. Karim was told he would be paid and given a one-year residence permit during leave back in Iran. Conscripts are promised that if they are “martyred,” their family will receive a pension and permanent status. “I wasn’t going to Afghanistan and I wasn’t going to prison,” said Karim. So he found himself forced to serve in the #Fatemiyoun. The 16-year-old’s first deployment was to Mosul in Iraq, where he served four months. When he was given leave back in Iran, Karim was told that to qualify for his residence permit he would need to serve a second term, this time in Syria. They were first sent into the fight against the so-called Islamic State in Raqqa. Because of his age and physique, Karim and some of the other underage soldiers were moved to the medical corps. He said that there were boys as young as 14 and he remembers a 15-year-old who fought using a rocket-propelled grenade launcher. “I knew nothing about Syria. I was just trying to survive. They were making us hate ISIS, dehumanizing them. 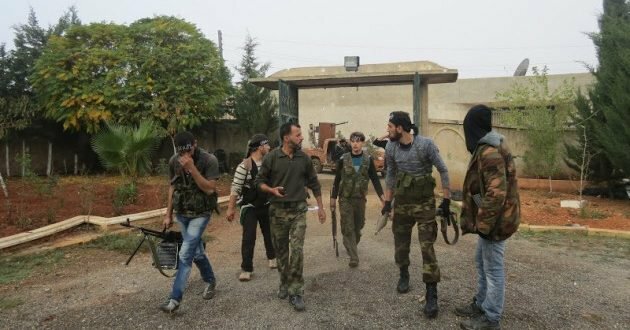 Telling us not to leave one of them alive.” Since media reports revealed the existence of the Fatemiyoun, the brigade has set up a page on Facebook. Among pictures of “proud volunteers,” it shows stories of captured ISIS prisoners being fed and cared for. Karim recalls a different story. The casualties on both sides were overwhelming. At the al-Razi hospital in Aleppo, the young medic saw the morgue overwhelmed with bodies being stored two or three to a compartment. Despite promises to reward the families of martyrs, Karim said many of the bodies were not sent back to Iran. Mosa’s basic training passed in a blur. A shy boy whose parents had divorced when he was young and whose father became an opium addict, he had always shrunk from violence. He never wanted to touch the toy guns that other boys played with. Now he was being taught to break down, clean and fire an assault rifle. The trainees were taken three times a day to the imam, who preached to them about their holy duty and the iniquities of ISIS, often referred to as Daesh. Mosa was born in 2001. Before being deployed to Syria, the recruits were given I.D. tags and papers that deliberately overstated their age: In 2017, Human Rights Watch released photographs of the tombstones of eight Afghan children who had died in Syria and whose families identified them as having been under 18 years old. The clerk who filled out Mosa’s forms did not trouble himself with complex math: He just changed 2001 to 1991. Mosa was one of four underage soldiers in his group. The boys were scared – their hands shook so hard they kept dropping their weapons. Two of them were dead within days of reaching the front lines. “I didn’t even know where we were exactly, somewhere in the mountains in a foreign country. I was scared all the time. Every time I saw a friend dying in front of my eyes I was thinking I would be next,” said Mosa. Iran does not release figures on the number of Fatemiyoun casualties. In a rare interview earlier this year, a senior officer in the Iranian Revolutionary Guard suggested as many as 1,500 Fatemiyoun had been killed in Syria. In Mashhad, an Iranian city near the border with Afghanistan where the brigade was first recruited, video footage has emerged of families demanding the bodies of their young men believed to have died in Syria. Mosa recalls patrols in Syria where 150 men and boys would go out and only 120 would return. Abbas had two weeks left in Syria before going back to Iran on leave. After 10 weeks in what he describes as a “living hell,” he had begun to believe he might make it out alive. It was his second stint in Syria and, still only 17 years old, he had been chosen to be a paramedic, riding in the back of a 2008 Chevrolet truck converted into a makeshift ambulance. Following 15 days of nursing training, during which he was taught how to find a vein and administer injections, he was now an ambulance man, collecting the dead and wounded from the battlefields on which the Fatemiyoun were fighting ISIS. Abbas grew up in Ghazni in Afghanistan, but his childhood ended when his father died from cancer in 2013. Now the provider for the family, he traveled with smugglers across the border into Iran, to work for a tailor in Tehran who had known his father. He worked without documents and faced the same threats as the undocumented Hazara children born in Iran. Even more dangerous were the few attempts he made to return to Ghazni. The third time he attempted to hop the border he was captured by Iranian police. Abbas was packed onto a transport, along with 23 other children, and sent to Ordugah-i Muhaceran, a camplike detention center outside Mashhad. When they got there the Shia Hazara boys were separated from Sunni Pashtuns, Afghanistan’s largest ethnic group, who were pushed back across the border. Abbas was given the same choice as Karim and Mosa before him: Afghanistan or Syria. Many of the other forced recruits Abbas met in training, and later fought alongside in Syria, were addicts with a history of substance abuse. Testimony from three Fatemiyoun child soldiers confirmed that Tramadol was routinely used by recruits to deaden their senses, leaving them “feeling nothing” even in combat situations but, nonetheless, able to stay awake for days at a time. The Fatemiyoun officers dealt with withdrawal symptoms by handing out Tramadol, an opioid painkiller that is used to treat back pain but sometimes abused as a cheap alternative to methadone. The drug is a slow-release analgesic. Testimony from three Fatemiyoun child soldiers confirmed that it was routinely used by recruits to deaden their senses, leaving them “feeling nothing” even in combat situations but, nonetheless, able to stay awake for days at a time. One of the children reiterated that the painkiller meant he felt nothing. Users describe feeling intensely thirsty but say they avoid drinking water because it triggers serious nausea and vomiting. Tramadol is addictive and prolonged use can lead to insomnia and seizures. Life in the ambulance had not met Abbas’ expectations. He was still sent to the front line, only now it was to collect the dead and mutilated. Some soldiers shot themselves in the feet to escape the conflict. Abbas did not make it to the 12th week. One morning, driving along a rubble-strewn road, his ambulance collided with an anti-tank mine. Abbas’ last memory of Syria is seeing the back doors of the vehicle blasted outward as he was thrown onto the road. When he awoke he was in a hospital bed in Iran. He would later learn that the Syrian ambulance driver had been killed and that the other Afghan medic in the vehicle had lost both his legs. At the time, his only thought was to escape. Alice Roorda first came into contact with child soldiers in 2001 in the refugee camps of Sierra Leone in West Africa. A child psychologist, she was sent there by the United Kingdom-based charity War Child. She was one of three psychologists for a camp of more than 5,000 heavily traumatized survivors of one of West Africa’s more brutal conflicts. “There was almost nothing we could do,” she admitted. The experience, together with later work in Uganda, has given her a deep grounding in the effects of war and post-conflict trauma on children. She said prolonged exposure to conflict zones has physical as well as psychological effects. Even after reaching a calmer situation, the “stress baseline” remains high, she said. This impacts everything from the immune system to bowel movements. Veterans often suffer from complications related to the continual engagement of the psoas, or “fear muscle” – the deepest muscles in the body’s core, which connect the spine, through the pelvis, to the femurs. Psychological conditions that can be expected to develop include post-traumatic stress disorder (PTSD) and attention deficit hyperactivity disorder (ADHD). Left untreated, these stress levels can lead to physical symptoms ranging from chronic fatigue syndrome (CFS or ME) to high blood pressure or irritable bowel syndrome. Also common are heightened sensitivity to noise and insomnia. The Dutch psychologist, who is now based in Athens, acknowledged that what she is describing is the exact opposite of the conditions at #Moria. Karim is convinced that his facility for English has saved his life. While most Hazara boys arrive in Europe speaking only Farsi, Karim had taught himself some basic English before reaching Greece. As a boy in Tehran he had spent hours every day trying to pick up words and phrases from movies that he watched with subtitles on his phone. His favorite was The Godfather, which he said he must have seen 25 times. He now calls English his “safe zone” and said he prefers it to Farsi. When Karim reached Greece in March 2016, new arrivals were not yet confined to the islands. No one asked him if he was a child or an adult. He paid smugglers to help him escape Iran while on leave from Syria and after crossing through Turkey landed on Chios. Within a day and a half, he had passed through the port of Piraeus and reached Greece’s northern border with Macedonia, at Idomeni. When he realized the border was closed, he talked to some of the international aid workers who had come to help at the makeshift encampment where tens of thousands of refugees and migrants waited for a border that would not reopen. They ended up hiring him as a translator. Two years on, his English is now much improved and Karim has worked for a string of international NGOs and a branch of the Greek armed forces, where he was helped to successfully apply for asylum. Abbas got the help he needed to win the vulnerability contest. After he was initially registered as an adult, his age assessment was overturned and he was transferred from Moria to a shelter for children on Lesbos. He has since been moved again to a shelter in mainland Greece. While he waits to hear the decision on his protection status, Abbas – like other asylum seekers in Greece – receives 150 euros ($170) a month. This amount needs to cover all his expenses, from food and clothing to phone credit. The money is not enough to cover a regular course of the antidepressant Prozac and the sleeping pills he was prescribed by the psychiatrist he was able to see on Lesbos. “I save them for when it gets really bad,” he said. Since moving to the mainland he has been hospitalized once with convulsions, but his main worry is the pain in his groin. Abbas underwent a hernia operation in Iran, the result of injuries sustained as a child lifting adult bodies into the ambulance. He has been told that he will need to wait for four months to see a doctor in Greece who can tell him if he needs another operation. “I would like to go back to school,” he said. But in reality, Abbas knows that he will need to work and there is little future for an Afghan boy who can no longer lift heavy weights. When the dish arrives he pauses before eating, taking out his phone and carefully photographing the plate from every angle. Mosa is about to mark the end of a full year in Moria. He remains in the same drab tent that reminds him every day of Syria. Serious weight loss has made his long limbs – the ones that made it easier for adults to pretend he was not a child – almost comically thin. His skin is laced with scars, but he refuses to go into detail about how he got them. Mosa has now turned 18 and seems to realize that his best chance of getting help may have gone. Then he apologises for the flash of temper. “I get upset and angry and my body shakes,” he said. It is 10 months since Mosa had his asylum interview. The questions he expected about his time in the Fatemiyoun never came up. Instead, the interviewers asked him why he had not stayed in Turkey after reaching that country, having run away while on leave in Iran. The questions they did ask him point to his likely rejection and deportation. Why, he was asked, was his fear of being persecuted in Afghanistan credible? He told them that he has heard from other Afghan boys that police and security services in the capital, Kabul, were arresting ex-combatants from Syria. Like teenagers everywhere, many of the younger Fatemiyoun conscripts took selfies in Syria and posted them on Facebook or shared them on WhatsApp. The images, which include uniforms and insignia, can make him a target for Sunni reprisals. These pictures now haunt him as much as the faces of his dead comrades. The C.I.A. is poised to conduct secret drone strikes against Qaeda and Islamic State insurgents from a newly expanded air base deep in the Sahara, making aggressive use of powers that were scaled back during the Obama administration and restored by President Trump. Late in his presidency, Barack Obama sought to put the military in charge of drone attacks after a backlash arose over a series of highly visible strikes, some of which killed civilians. The move was intended, in part, to bring greater transparency to attacks that the United States often refused to acknowledge its role in. But now the C.I.A. is broadening its drone operations, moving aircraft to northeastern Niger to hunt Islamist militants in southern Libya. 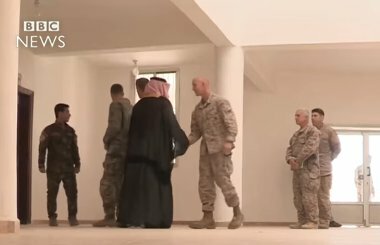 The expansion adds to the agency’s limited covert missions in eastern Afghanistan for strikes in Pakistan, and in southern Saudi Arabia for attacks in Yemen. Nigerien and American officials said the C.I.A. had been flying drones on surveillance missions for several months from a corner of a small commercial airport in Dirkou. Satellite imagery shows that the airport has grown significantly since February to include a new taxiway, walls and security posts. One American official said the drones had not yet been used in lethal missions, but would almost certainly be in the near future, given the growing threat in southern Libya. The official spoke on the condition of anonymity to discuss the secretive operations. A C.I.A. spokesman, Timothy Barrett, declined to comment. 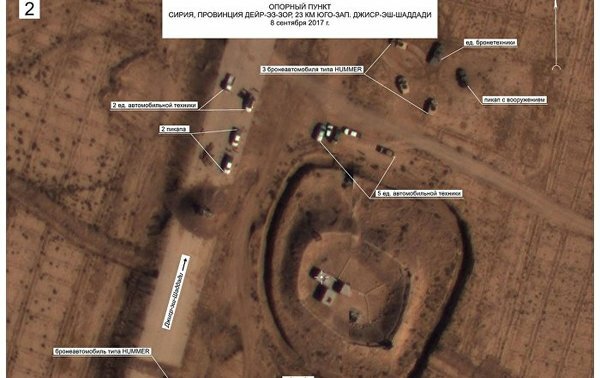 A Defense Department spokeswoman, Maj. Sheryll Klinkel, said the military had maintained a base at the Dirkou airfield for several months but did not fly drone missions from there. The drones take off from Dirkou at night — typically between 10 p.m. and 4 a.m. — buzzing in the clear, starlit desert sky. 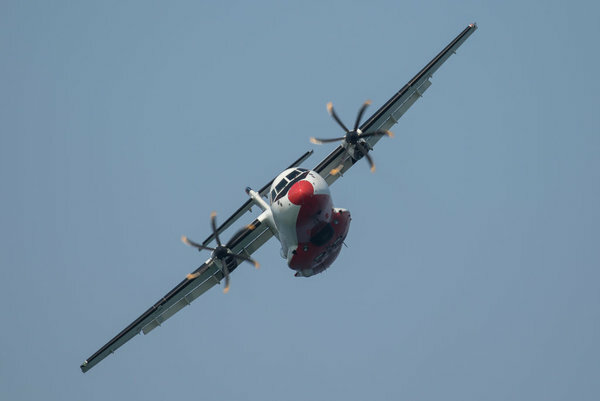 A New York Times reporter saw the gray aircraft — about the size of Predator drones, which are 27 feet long — flying at least three times over six days in early August. Unlike small passenger planes that land occasionally at the airport, the drones have no blinking lights signaling their presence. “All I know is they’re American,” Niger’s interior minister, Mohamed Bazoum, said in an interview. He offered few other details about the drones. Dirkou’s mayor, Boubakar Jerome, said the drones had helped improve the town’s security. “It’s always good. If people see things like that, they’ll be scared,” Mr. Jerome said. Mr. Obama had curtailed the C.I.A.’s lethal role by limiting its drone flights, notably in Yemen. Some strikes in Pakistan and elsewhere that accidentally killed civilians, stirring outrage among foreign diplomats and military officials, were shielded because of the C.I.A.’s secrecy. As part of the shift, the Pentagon was given the unambiguous lead for such operations. The move sought, in part, to end an often awkward charade in which the United States would not concede its responsibility for strikes that were abundantly covered by news organizations and tallied by watchdog groups. However, the C.I.A. program was not fully shut down worldwide, as the agency and its supporters in Congress balked. The drone policy was changed last year, after Mike Pompeo, the C.I.A. director at the time, made a forceful case to President Trump that the agency’s broader counterterrorism efforts were being needlessly constrained. The Dirkou base was already up and running by the time Mr. Pompeo stepped down as head of the C.I.A. in April to become Mr. Trump’s secretary of state. The Pentagon’s Africa Command has carried out five drone strikes against Qaeda and Islamic State militants in Libya this year, including one two weeks ago. The military launches its MQ-9 Reaper drones from bases in Sicily and in Niamey, Niger’s capital, 800 miles southwest of Dirkou. But the C.I.A. base is hundreds of miles closer to southwestern Libya, a notorious haven for Al Qaeda and other extremist groups that also operate in the Sahel region of Niger, Chad, Mali and Algeria. It is also closer to southern Libya than a new $110 million drone base in Agadez, Niger, 350 miles west of Dirkou, where the Pentagon plans to operate armed Reaper drone missions by early next year. Another American official said the C.I.A. began setting up the base in January to improve surveillance of the region, partly in response to an ambush last fall in another part of Niger that killed four American troops. The Dirkou airfield was labeled a United States Air Force base as a cover, said the official, who spoke on the condition of anonymity to discuss confidential operational matters. The C.I.A. operation in Dirkou is burdened by few, if any, of the political sensitivities that the United States military confronts at its locations, said one former American official involved with the project. Even so, security analysts said, it is not clear why the United States needs both military and C.I.A. drone operations in the same general vicinity to combat insurgents in Libya. France also flies Reaper drones from Niamey, but only on unarmed reconnaissance missions. “I would be surprised that the C.I.A. would open its own base,” said Bill Roggio, editor of the Foundation for Defense of Democracies’ Long War Journal, which tracks military strikes against militant groups. Despite American denials, a Nigerien security official said he had concluded that the C.I.A. launched an armed drone from the Dirkou base to strike a target in Ubari, in southern Libya, on July 25. The Nigerien security official spoke on the condition of anonymity to discuss the classified program. A spokesman for the Africa Command, Maj. Karl Wiest, said the military did not carry out the Ubari strike. #Ubari is in the same region where the American military in March launched its first-ever drone attack against Qaeda militants in southern Libya. It is at the intersection of the powerful criminal and jihadist currents that have washed across Libya in recent years. Roughly equidistant from Libya’s borders with Niger, Chad and Algeria, the area’s seminomadic residents are heavily involved in the smuggling of weapons, drugs and migrants through the lawless deserts of southern Libya. 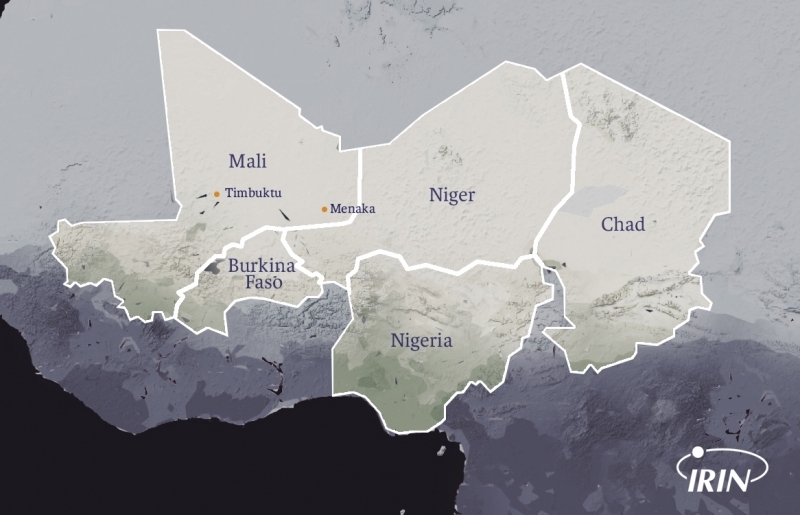 Some of the residents have allied with Islamist militias, including Al Qaeda in the Islamic Maghreb, which operates across Algeria, Mali, Niger and Libya. Dirkou, in northeast Niger, is an oasis town of a few thousand people in the open desert, bordered by a small mountain range. For centuries, it has been a key transit point for travelers crossing the Sahara. It helped facilitate the rise of Islam in West Africa in the 9th century, and welcomed salt caravans from the neighboring town of Bilma. The town has a handful of narrow, sandy roads. Small trees dot the horizon. Date and neem trees line the streets, providing shelter for people escaping the oppressive midday heat. There is a small market, where goods for sale include spaghetti imported from Libya. Gasoline is also imported from Libya and is cheaper than elsewhere in the country. The drones based in Dirkou are loud, and their humming and buzzing drowns out the bleats of goats and crows of roosters. Satellite imagery shows that construction started in February on a new compound at the Dirkou airstrip. Since then, the facility has been extended to include a larger paved taxiway and a clamshell tent connected to the airstrip — all features that are consistent with the deployment of small aircraft, possibly drones. Five defensive positions were set up around the airport, and there appear to be new security gates and checkpoints both to the compound and the broader airport. It’s not the first time that Washington has eyed with interest Dirkou’s tiny base. In the late 1980s, the United States spent $3.2 million renovating the airstrip in an effort to bolster Niger’s government against Col. Muammar el-Qaddafi, then the leader of Libya. Compared with other parts of Africa, the C.I.A.’s presence in the continent’s northwest is relatively light, according to a former State Department official who served in the region. In this part of Niger, the C.I.A. is also providing training and sharing intelligence, according to a Nigerien military intelligence document reviewed by The Times. The Nigerien security official said about a dozen American Green Berets were stationed earlier this year in #Dirkou — in a base separate from the C.I.A.’s — to train a special counterterrorism battalion of local forces. Those trainers left about three months ago, the official said. It is unlikely that they will return anytime soon. The Pentagon is considering withdrawing nearly all American commandos from Niger in the wake of the deadly October ambush that killed four United States soldiers. Le Sahel est-il une zone de #non-droit ? La CIA a posé ses valises dans la bande sahélo-saharienne. Le New-York Times l’a annoncé, le 9 septembre dernier. Le quotidien US, a révélé l’existence d’une #base_de_drones secrète non loin de la commune de Dirkou, dans le nord-est du Niger. Cette localité, enclavée, la première grande ville la plus proche est Agadez située à 570 km, est le terrain de tir parfait. Elle est éloignée de tous les regards, y compris des autres forces armées étrangères : France, Allemagne, Italie, présentes sur le sol nigérien. Selon un responsable américain anonyme interrogé par ce journal, les drones déployés à Dirkou n’avaient « pas encore été utilisés dans des missions meurtrières, mais qu’ils le seraient certainement dans un proche avenir, compte tenu de la menace croissante qui pèse sur le sud de la Libye. » Or, d’après les renseignements recueillis par l’IVERIS, ces assertions sont fausses, la CIA a déjà mené des opérations à partir de cette base. Ces informations apportent un nouvel éclairage et expliquent le refus catégorique et systématique de l’administration américaine de placer la force conjointe du G5 Sahel (Tchad, Mauritanie, Burkina-Faso, Niger, Mali) sous le chapitre VII de la charte des Nations Unies. L’installation d’une base de drones n’est pas une bonne nouvelle pour les peuples du Sahel, et plus largement de l’Afrique de l’Ouest, qui pourraient connaître les mêmes malheurs que les Afghans et les Pakistanais confrontés à la guerre des drones avec sa cohorte de victimes civiles, appelées pudiquement « dégâts collatéraux ». Pour rappel, cette autorisation a été accordée à peine un mois après les événements de Tongo Tongo, où neuf militaires avaient été tués, cinq soldats nigériens et quatre américains. Cette autorisation est souvent présentée comme la conséquence de cette attaque. Or, les pourparlers ont eu lieu bien avant. En effet, l’AFRICOM a planifié la construction de la base de drone d’Agadez, la seconde la plus importante de l’US Air Force en Afrique après Djibouti, dès 2016, sous le mandat de Barack Obama. Une nouvelle preuve que la politique africaine du Pentagone n’a pas changée avec l’arrivée de Donald Trump (3-4-5). Dès lors, le véto catégorique des Etats-Unis de placer la force G5 Sahel sous chapitre VII se comprend mieux. Il s’agit de mener une guerre non-officielle sans mandat international des Nations-Unies et sans se soucier du droit international. Ce n’était donc pas utile qu’Emmanuel Macron, fer de lance du G5, force qui aurait permis à l’opération Barkhane de sortir du bourbier dans lequel elle se trouve, plaide à de nombreuses reprises cette cause auprès de Donald Trump. Tous les présidents du G5 Sahel s’y sont essayés également, en vain. Ils ont fini par comprendre, quatre chefs d’Etats ont boudé la dernière Assemblée générale des Nations Unies. Seul, le Président malien, Ibrahim Boubacar Keïta, est monté à la tribune pour réitérer la demande de mise sous chapitre VII, unique solution pour que cette force obtienne un financement pérenne. Alors qu’en décembre 2017, Emmanuel Macron y croyait encore dur comme fer et exigeait des victoires au premier semestre 2018, faute de budget, le G5 Sahel n’est toujours pas opérationnel ! (6-7) Néanmoins, la Chine a promis de le soutenir financièrement. Magnanime, le secrétaire d’Etat à la défense, Jim Mattis a lui assuré à son homologue, Florence Parly, que les Etats-Unis apporteraient à la force conjointe une aide très significativement augmentée. Mais toujours pas de chapitre VII en vue... Ainsi, l’administration Trump joue coup double. Non seulement elle ne s’embarrasse pas avec le Conseil de Sécurité et le droit international mais sous couvert de lutte antiterroriste, elle incruste ses bottes dans ce qui est, (ce qui fut ? ), la zone d’influence française. Cerise sur le gâteau, en août dernier le patron de l’AFRICOM, le général Thomas D. Waldhauser, a annoncé une réduction drastique de ses troupes en Afrique (9). Les sociétés militaires privées, dont celle d’Erik Prince, anciennement Blackwater, ont bien compris le message et sont dans les starting-blocks prêtes à s’installer au Sahel (10). Media/News Company consisting of a group of Journalists working in Syria delivering accurate, confirmed & up to date news. We document Assad/Putin warcrimes. correspondrait à une « manifestation de civils » selon « On the Ground News », qui a vite fait d’effacer son tweet après qu’on lui ait mis son énormité devant le nez. 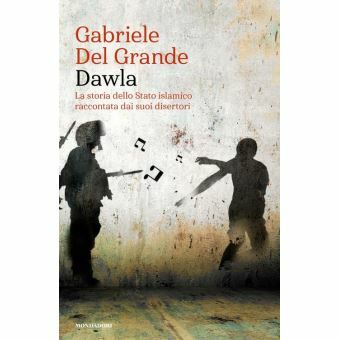 Dawla in arabo significa Stato ed è uno dei modi in cui gli affiliati dello Stato islamico chiamano la propria organizzazione. Gabriele Del Grande è andato a incontrarli in un avventuroso viaggio partito nel Kurdistan iracheno e terminato con il suo arresto in Turchia. Questo libro è il racconto delle loro storie intrecciate alla storia più grande dell’ascesa e della caduta dello Stato islamico. Un racconto che parte nel 2005 nei sotterranei del carcere di massima sicurezza di Saydnaya, in Siria, e che passa per la rivoluzione fallita del 2011, la guerra per procura contro al-Asad, il ritorno del Califfato e gli attentati che hanno sconvolto l’Europa. Senza mai cedere ai toni della saggistica, Del Grande mette in scena una galleria di personaggi le cui vicende si snodano in un intreccio di storytelling e geopolitica. Un manifestante siriano spinto da un’autentica sete di giustizia a prendere le armi e che, davanti alla corruzione dell’Esercito Libero, sceglie di arruolarsi nel Dawla, dove farà carriera come agente dei servizi segreti interni ed emiro della polizia morale, hisba. Un hacker giordano in fissa con l’esoterismo giunto in Siria seguendo le profezie sulla fine del mondo e finito nel braccio dei condannati a morte in una prigione segreta del Dawla. E un avventuriero iracheno ingaggiato da un ex colonnello dell’Anbar che grazie alla propria intraprendenza si addentrerà nel livello più oscuro dei servizi segreti del Dawla, quello responsabile della pianificazione degli attentati in Europa. Asciutto e spietato come una tragedia classica, avvincente come un action movie, questo libro straordinario ci racconta storie forti, piene di colpi di scena, avventure, sentimenti, rabbia, amore, vita, morte, punti di vista opposti sulla guerra e sul mondo. Au Sahel, la sécheresse chasse les troupeaux et leurs bergers vers des contrées plus accueillantes, déclenchant une « crise pastorale » qui risque d’aggraver l’insécurité alimentaire dans une région déjà fragilisée par la présence de groupes jihadistes, alertent les spécialistes. Traditionnelles, les migrations transfrontalières de troupeaux en #Afrique_de_l'ouest ont été cette semaine au centre d’une réunion de trois jours des membres du Réseau de prévention des crises alimentaires (RPCA), au siège de l’OCDE à Paris. Dans plusieurs pays, « il n’y a pas assez de fourrage, et les troupeaux sont partis plus tôt que prévu, en octobre au lieu de janvier, car ils n’avaient plus rien à manger », explique à l’AFP Maty Ba Dio, coordinatrice régionale du projet régional d’appui au pastoralisme au Sahel, basée à Ouagadougou. « La difficulté, c’est qu’ils sont arrivés alors que les populations agricoles du sud n’avaient pas complètement fini les récoltes, les animaux ont envahi et détruit les parcelles de culture (...), cela a créé des conflits énormes », regrette-t-elle. Les investissements en semences et engrais ont été anéantis. Dans les pays côtiers qui reçoivent les migrations de troupeaux, « comme le #Nigeria, le #Ghana, ou le #Togo », les conflits « ont abouti à des morts d’hommes, avec des images difficiles à regarder », souligne aussi Mme Ba Dio. The emergence of a new militant Islamist group in northern Mozambique raises a host of concerns over the influence of international jihadist ideology, social and economic marginalization of local Muslim communities, and a heavy-handed security response. @reka : faut mettre à jour la carte ? 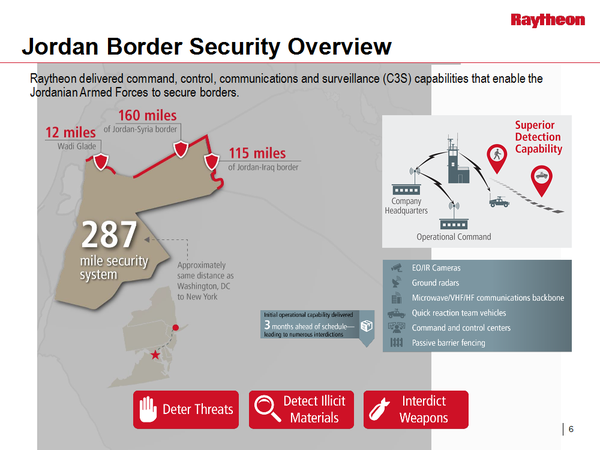 A US-funded partnership between Jordan and #Raytheon is entering the final phase of a nearly $100 million program to guard the Hashemite Kingdom against infiltrators from the Islamic State group and other extremist organizations operating beyond its border with Syria and Iraq. S’il vous plaît, fais moi des guerres ! Investir sur un politicard étasunien, ça c’est du dividende ! Seit zwei Jahren arbeitet Adiba für internationale Journalisten, übersetzt, organisiert, vermittelt Gesprächspartner. Ohne ihre Hilfe käme Mohammed nicht weit. Sie kennt die Gegend und hat die Genehmigungen der kurdischen Autonomiebehörde besorgt, um die unzähligen Checkpoints auf dem Weg nach Sindschar zu passieren, jene Stadt, die zum Symbol für den Massenmord an den Jesiden geworden ist. Seit November 2015 ist Sindschar zwar befreit. Doch der IS kontrolliert noch immer Dörfer und Weiler im wenige Kilometer entfernten Umkreis. Adiba stammt aus dem Nachbarort Khanasor, aus dem sie im August 2014 wenige Minuten vor dem Eintreffen der Milizen des IS entkommen konnte. Sie hat sofort zugesagt, mit Khamis zu arbeiten, als sie hörte, was er für seine Freundin Tamara tun möchte. Am nächsten Morgen geht es los. Vorerst ist der Abstecher in das irakische Krisengebiet, zweihundert Kilometer nördlich von Erbil, nur ein ungeschriebenes Kapitel des Buches, das er nach dieser Reise veröffentlichen möchte. Was erwartet Mohammed Khamis von den kommenden Tagen? Hat er Angst, als Muslim diskriminiert zu werden? Dass ihn die Opfer des IS wegen seines Glaubens in moralische Sippenhaft nehmen? Wie wird er auf das, was im Namen seiner Religion angerichtet wurde, reagieren, auf die Zerstörungen, das Leid, die Flüchtlinge? Mohammed Khamis zuckt mit den Schultern und sagt: »Was mir sehr wichtig ist, ist zu zeigen, dass das, was hier passiert ist, nicht im Namen meiner Religion passiert ist. Ich möchte dem jesidischem Volk sagen, dass die Art meiner Auslegung meiner Religion nicht erlaubt, einen Menschen zu unterdrücken, zu töten, zwangszuverheiraten oder zu vergewaltigen.« Adiba schlägt vor, dass er sich Michael anstatt Mohammed nennen könnte, um sich eventuellen Ärger zu ersparen. »Nein. Ich verleugne mich nicht.« Schließlich sei er hier, um zu verstehen. »Verurteilst Du uns?«, fragt er misstrauisch. »Ich sage nicht, dass alle Moslems verantwortlich sind. 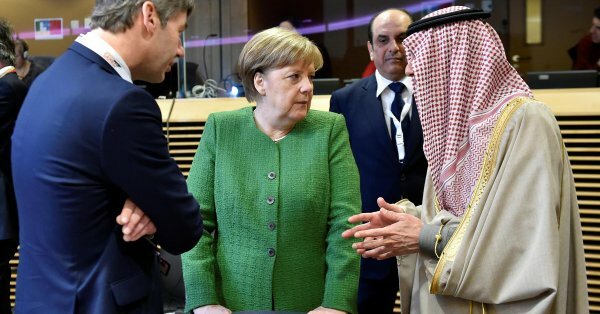 Die IS-Kämpfer kamen nicht aus Saudi-Arabien. Es waren Iraker. Es waren unsere Nachbarn«, antwortet Adiba. Now that the Islamic State has fallen in Iraq and Syria, where are all its fighters going? In the six years since a separatist rebellion broke out in northern #Mali in January 2012, armed groups in West Africa’s Sahel region have grown considerably in both number and the complexity of their ever-evolving relationships with one another. Pourquoi les Maliens rejoignent-ils les #groupes_armés ? 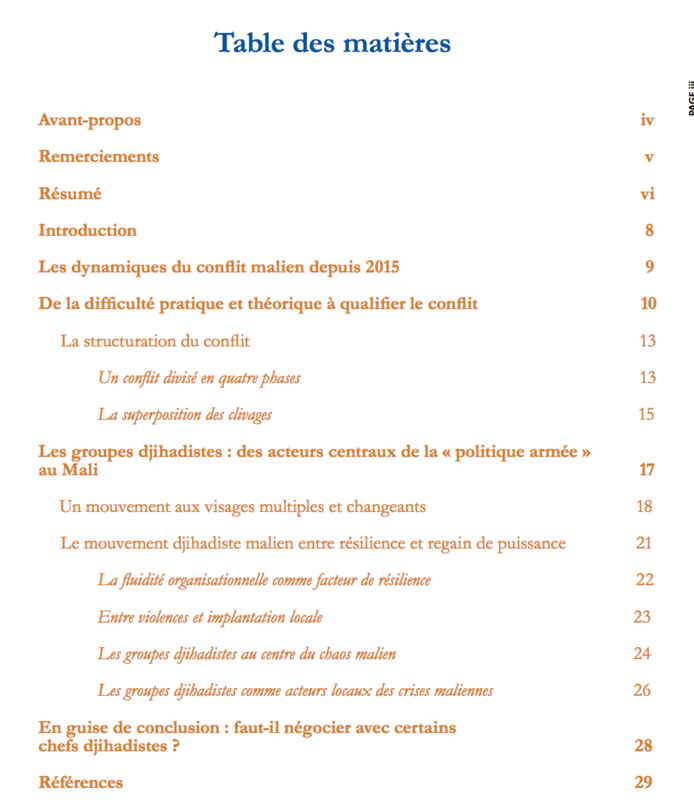 Où va l’#islamisme #après_Daech ? Depuis la chute du groupe armé État islamique, comment l’islamisme se porte-t-il ? Des chercheurs posent la question en marge du colloque multidisciplinaire « L’étude de la religion aujourd’hui ». I migranti soccorsi nel Mediterraneo dovranno essere trasferiti nel porto più vicino. E dunque cade l’obbligo che vengano portati direttamente in Italia, come era invece previsto dalla missione Triton. È quanto prevede il nuovo accordo siglato dall’Italia con Frontex, l’Agenzia europea della guardia di frontiera e costiera. Nell’intesta siglata dai rappresentati del Dipartimento di immigrazione del Viminale con i rappresentanti Ue si prevede di arretrare la linea di pattugliamento dei nostri mezzi navali a 24 miglia, restringendo in questo modo il campo d’azione. In una nota Frontex sottolinea come la nuova operazione nel mar Mediterraneo centrale, «servirà per assistere l’Italia nelle attività di controllo dei confini». La nuova operazione congiunta si chiamerà Themis, «inizierà il 1 febbraio e sostituirà l’operazione Triton lanciata nel 2014. L’operazione Themis continuerà a includere la ricerca e soccorso come componente cruciale. Allo stesso tempo, la nuova operazione avrà un focus rafforzato sulle forze dell’ordine». L’area in cui sarà operativa «coprirà il mar Mediterraneo centrale, dalle acque che coprono i flussi da Algeria, Tunisia, Libia, Egitto, Turchia e Albania». Dénommée Themis, cette opération démarre ce 1er février. Elle remplace l’opération Triton, lancée en 2014. L’opération Themis continuera d’inclure la recherche et le sauvetage. Des missions menées sous la coordination des « différents centres de coordination du sauvetage maritime responsables ». Mais la nouvelle opération aura aussi un axe plus important sur le respect de la loi. Sa zone opérationnelle s’étendra sur la mer Méditerranée centrale dans les eaux couvrant les flux venant d’Algérie, de Tunisie, Libye, Egypte, Turquie et Albanie. NB : la zone d’opération est donc plus large que celle de l’opération Sophia, puisqu’elle couvre également le flanc est (Egypte, Turquie) et le flanc ouest (Algérie) et l’Adriatique. Dans le cadre de cette opération, Frontex va aussi poursuivre sa présence dans les hotspots en Italie, où les agents déployés par l’agence aideront les autorités nationales à enregistrer les migrants, notamment en prenant leurs empreintes digitales et en confirmant leur nationalité. Le volet sécurité de l’opération Themis comprendra également la collecte de #renseignements et d’autres mesures visant à détecter les #combattants_étrangers et autres menaces terroristes aux frontières extérieures. Frontex, the European Border and Coast Guard Agency, is launching a new operation in the Central Mediterranean to assist Italy in border control activities. The new Joint Operation Themis will begin on 1 February and will replace operation Triton, which was launched in 2014. Operation Themis will continue to include search and rescue as a crucial component. At the same time, the new operation will have an enhanced law enforcement focus. Its operational area will span the Central Mediterranean Sea from waters covering flows from Algeria, Tunisia, Libya, Egypt, Turkey and Albania. “Operation Themis will better reflect the changing patterns of migration, as well as cross border crime. Frontex will also assist Italy in tracking down criminal activities, such as drug smuggling across the Adriatic,” said Frontex Executive Director Fabrice Leggeri. The security component of Operation Themis will include collection of intelligence and other steps aimed at detecting foreign fighters and other terrorist threats at the external borders. “We need to be better equipped to prevent criminal groups that try to enter the EU undetected. This is crucial for the internal security of the European Union,” Leggeri said. As part of Operation Themis, Frontex will continue its presence in the hotspots in Italy, where officers deployed by the agency will assist the national authorities in registering migrants, including taking their fingerprints and confirming their nationalities. Frontex vessels will continue search and rescue operations under the coordination of the responsible Maritime Rescue Coordination Centres. Last year, Frontex assisted in the rescue of 38 000 people at sea in operations in Italy, Greece and Spain. Un articolo del Corriere della Sera ha anticipato la nuova operazione Themis di Frontex che dovrebbe sostituire la precedente operazione TRITON e limitare il ruolo dei mezzi italiani nelle attività di soccorso, addirittura a 24 miglia a sud di Lampedusa, con la possibilità di sbarcare i naufraghi soccorsi in alto mare ( in acque internazionali) nel “porto più vicino” e non nel “place of safetty” imposto dalle Convenzioni internazionali di Montego Bay (UNCLOS) del 1984 e di Amburgo (SAR) del 1979. Risalendo alla fonte della notizia le informazioni diffuse dal Corriere appaiono frutto di una visione fortemente influenzata dai rapporti con le polizie e i servizi di informazione. La posizione ufficiale di Frontex è affidata ad un comunicato. Ma un comunicato di polizia non costituisce fonte del diritto. Almeno finora. 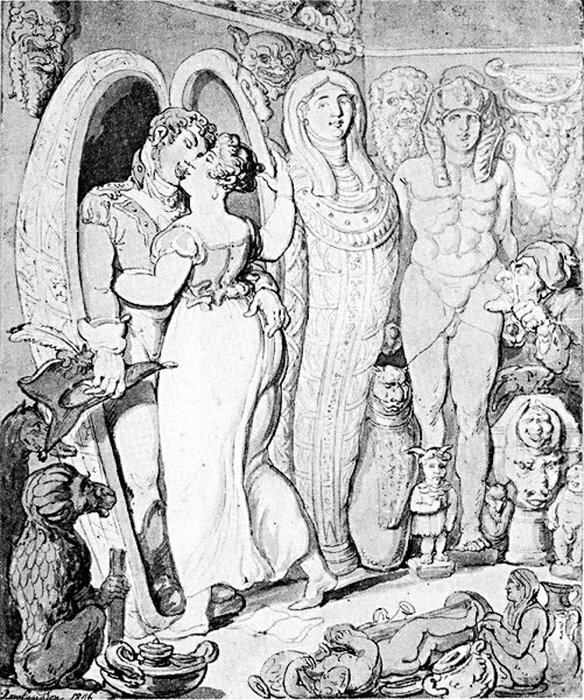 Opération Thémis. L’agence Frontex agit-elle sans contrôle démocratique ? Le lancement récent d’une nouvelle opération au large de la Méditerranée par le corps européen de garde-frontières et de garde-côtes (l’agence Frontex) est interpellant. Le communiqué diffusé à cette occasion laisse planer un certain flou et pose plus de questions qu’il n’en résout. La nouvelle opération s’occupe à la fois de recherche et sauvetage en mer, de renforcement de la loi, de lutte contre la criminalité, contre les réseaux terroristes (lire : Frontex lance une opération en Méditerranée centrale, nommée Thémis). Mais on ne comprend pas vraiment bien l’objectif de la nouvelle mission. Nous avons demandé des précisions à Frontex (basée à Varsovie), surtout sur la façon dont les deux opérations EUNAVFOR Med et Thémis allaient se coordonner. La réponse reçue tout à l’heure (à 13h) est un peu vasouillarde…. Tout d’abord, on nous a annoncé doctement que THEMIS était civile là où EUNAVFOR Med militaire. Une vraie information ! (1). Ensuite, on nous a expliqué que cette mission n’avait pour fonction que le sauvetage en mer et n’avait pas pour tâche la lutte contre les trafics de migrants. Ce qui est, là, en pleine contradiction avec l’énoncé même du communiqué officiel. « At the same time, the new operation will have an enhanced law enforcement focus. Its operational area will span the Central Mediterranean Sea from waters covering flows from Algeria, Tunisia, Libya, Egypt, Turkey and Albania. « Operation Themis will better reflect the changing patterns of migration, as well as cross border crime. (…) said Frontex Executive Director Fabrice Leggeri. Les mots ne sont pas totalement identiques. Mais ils sont très proches des mots employés pour l’opération EUNAVFOR Med. En tout cas, rien ne permet de faire un réel distinguo entre les deux opérations. Ce raté dans la communication révèle en fait un problème plus général. A la différence des opérations PSDC, qui opèrent dans un cadre précis, ces opérations sont menées sans aucun cadre ni autorisation légale. Certes il y a un règlement définissant l’action du corps européen, certes il y a eu un plan d’opération approuvé au sein de Frontex, en accord avec le pays d’origine. Mais tout cela se fait de façon discrète, « sous la table », à un niveau infrapolitique, sans approbation formelle, ni transparence. Bref, sans contrôle démocratique d’une façon ou d’une autre et sans aucune transparence. Ce qui est contraire aux règles, et surtout, à l’esprit européen. Aucune autorité politique compétente au niveau de l’Union européenne — le conseil des ministres par exemple — n’a approuvé une telle opération. Aucune décision cadre n’en a fixé l’objectif, les moyens, les limites, voire la zone d’opération. Aucune décision n’a été publiée au journal officiel ou sur un autre support. Aucune information n’a été donnée sur le coût de cette opération, ni sa durée. Aucun procès verbal n’a été constaté et est accessible publiquement. Aucune information au parlement européen n’a été effectuée officiellement. Aucune traduction même dans les principales langues concernées par cette opération n’a été publiée. Les bons esprits estimeront sans doute que la nécessité opérationnelle impose cette absence de formalisme. On peut douter de la pertinence de cet argument, du moins au plan européen. Une opération militaire menée au nom de l’Union européenne, financée par les seuls États membres, respecte toutes ces conditions : une décision cadre est approuvée par les ministres et publiée au journal officiel dans toutes les langues. Elle fixe l’objectif, les missions, les moyens, les règles tenant au secret et à la protection des données, donne des indications sur la zone d’opération, le budget affecté, la durée de l’opération et le contrôle politique de l’opération. Commentaire : les militaires respectent une certaine obligation démocratique, pourquoi pas les garde-frontières ? On peut se demander pourquoi une opération civile, menée toujours au nom de l’Union européenne, dans un cadre communautaire, avec de l’argent communautaire, sous une hiérarchie communautaire, puisse s’abstraire du respect de ces procédures. Quel est le raisonnement politique, démocratique, constitutionnel, juridique, qui peut justifier pareille exception ? (2) Les militaires y arrivent très bien, le corps des garde-frontières et des garde-côtes européens s’il veut garder sa pertinence et sa légitimité devrait y arriver fort bien. (1) Ce qui est un peu prendre le public européen pour un imbécile. Nos questions sur l’utilité d’avoir deux opérations plus ou moins dans la même zone, avec plus ou moins les mêmes objectifs, les moyens de coordination, l’utilisation adéquate des financements européens est en revanche restée sans réponse. (2) Nous avons demandé la raison d’un tel manque. Aucune réponse satisfaisante n’a été fourni. Themis sostituisce la vecchia missione #Triton, con un mandato allargato e che poco si concentra sugli sbarchi dalla Libia. Per la prima volta una missione dell’agenzia europea Frontex supporta le forze dell’ordine marittime di un governo che dice di voler respingere i “clandestini” direttamente in mare. Il 28 agosto 2014 la Lega non era ancora al governo, e Matteo Salvini si esprimeva così sulla sua pagina Facebook: “Secondo voi dire che FRONTEX PLUS è una PRESA PER IL CULO è troppo forte??? Il 18 ottobre TUTTI A MILANO per dire NO a Mare Nostrum, Frontex, Frontex Plus o come diavolo vorranno chiamare operazioni che, invece di respingere i clandestini, favoriscono l’invasione!”. #Frontex_Plus, diventata poi Triton, è stata fino a febbraio di quest’anno la missione di Frontex a difesa della frontiere marittime italiane. Non è “indipendente”: infatti lo scopo è il supporto ai mezzi italiani impiegati per la ricognizione in mare, cioè Guardia di Finanza, Guardia costiera e Polizia di stato. L’Agenzia europea per il pattugliamento delle frontiere – Frontex appunto – finanzia e aiuta il coordinamento della missione Themis, mentre i paesi partecipanti contribuiscono mettendo a disposizione uomini e mezzi, a seconda delle esigenze espresse dall’Italia. Alla fine del 2016, la storia tra Salvini e Frontex ha preso un’altra piega: il Financial Times ha pubblicato il famoso report interno (ve ne raccontammo qui: ▻http://openmigration.org/analisi/accuse-alle-ong-cosa-ce-di-falso-o-di-sviante) in cui l’agenzia sosteneva che i trafficanti dessero ai migranti “precise indicazioni prima di partire per raggiungere le navi delle Ong”. Luigi Di Maio, ad aprile 2017, ha attribuito a un altro report di Frontex (Risk Analysis 2017: ▻https://frontex.europa.eu/assets/Publications/Risk_Analysis/Annual_Risk_Analysis_2017.pdf) la tanto citata espressione “taxi del mare” per definire le Ong. Quella frase nel report non c’è, ma ci sono critiche all’atteggiamento poco collaborativo delle Ong e a salvataggi che avverrebbero “prima di chiamate d’emergenza”. Quello è stato l’inizio delle intese tra Lega e Cinque Stelle sull’immigrazione, con Frontex citata a sostegno delle argomentazioni anti-Ong – il primo atto della campagna condotta dalla procura di Catania e dal suo capo Carmelo Zuccaro. “Io sto con Zuccaro, io sto con Frontex”, diceva Salvini a maggio 2017, “che certificano, sostengono e confermano quello che qualunque normodotato in Italia e nel mondo ha ormai intuito: l’immigrazione clandestina è organizzata, finanziata, è un business da 5 miliardi di euro e ha portato a 13 mila morti sul fondo del mare”. Ora la missione di Frontex cominciata a febbraio è cambiata per nuove esigenze dell’Italia. La “revisione” del mandato è cominciata a luglio del 2017 per volere dell’allora ministro Marco Minniti, che aveva inserito questa missione nella strategia più complessiva dell’Italia in Libia. Come vedremo, il compito principale di raccordo con le autorità marittime locali lo svolge la Marina Militare. La nuova missione di Frontex è stata battezzata Themis. È la prima a supporto di un governo che dice di voler respingere i “clandestini” in mare. Da paese di frontiera, è ovvio che l’Italia sia uno dei principali interlocutori di Frontex. Il fatto che il governo Lega-Cinque Stelle abbia in animo di respingere i migranti prima che sbarchino, presumibilmente anche con l’ausilio dei mezzi messi a disposizione da Themis, è invece un fatto unico. Queste sono le caratteristiche della missione pensata da Minniti e che si ritroverà a gestire, invece, Matteo Salvini. E questo è il modo in cui la missione si inserisce all’interno del piano italiano ed europeo sulla Libia, spesso scoordinato e incomprensibile. Nella missione Themis partecipano insieme a Frontex 27 stati membri. La missione dispone di dieci navi, due elicotteri e altrettanti aerei e un budget annuale di 39 milioni di euro, con i quali Frontex paga sia per i propri mezzi, sia per quelli appartenenti ai paesi europei impiegati poi nella missione. Themis ha alcune caratteristiche differenti rispetto alla precedente Triton. In primo luogo, come spiega il Viminale, il limite dalle coste italiane della linea di pattugliamento: Triton arrivava fino a 30 miglia nautiche dalle nostre coste, Themis si fermerà a 24, ossia il confine delle cosiddette acque continue. È il limite canonico delle acque di competenza di un paese, superato in occasione della missione Triton a causa delle condizioni particolari del 2014, il suo anno di nascita. C’è da ipotizzare che il lieve indietreggiare di Themis sia anche un modo per dare maggiore spazio di manovra alle nuove autorità libiche, alle quali l’Italia sta fornendo assistenza per realizzare a Tripoli un nuovo Mrcc, il centro di coordinamento dei salvataggi a Tripoli. Una seconda differenza tra Triton e Themis riguarda il mandato. Themis non ha come unico scopo il contrasto all’immigrazione irregolare, né si concentra solo sul Mediterraneo centrale: copre anche i flussi di uomini e droga nel Mediterraneo orientale (Albania e Turchia) e occidentale (Tunisia e Algeria), che erano fuori dal mandato di Triton. Uno spostamento di focus legato anche al calo negli sbarchi. Le nuove aree interessano a Frontex e agli inquirenti italiani soprattutto per gli “sbarchi fantasma” dalla Tunisia. Pescherecci, barche a vela, motoscafi con poche decine di persone a bordo che sbarcano sulle coste della Sicilia meridionale senza che i migranti a bordo passino da strutture di accoglienza o identificazione: ogni loro spostamento è gestito da organizzazioni italo-tunisine. Sono vittime di tratta? Lavoratori forzati? Manodopera criminale? Potenziali terroristi? Le ipotesi sono tutte al vaglio degli inquirenti. Sulla carta, poi, Themis rompe il vincolo stabilito da Triton per il quale ogni migrante salvato nella missione doveva sbarcare in un porto sicuro italiano. Al momento, però, non sono registrati sbarchi, a parte per urgenze mediche individuali, in porti diversi da quelli italiani. E il 7 giugno c’è stato l’ennesimo braccio di ferro tra Malta e l’Italia, quando le autorità dell’isola non hanno concesso a Sea Watch di sbarcare 120 migranti in un momento in cui l’imbarcazione dell’Ong era in difficoltà per le condizioni del mare. Ora, con il caso Aquarius, lo scontro con La Valletta è diventato aperto e duro. Da parte di Frontex c’è molta riservatezza sulle operazioni in corso. Piano operativo e contratti di utilizzo di ogni mezzo impiegato in mare sono i documenti fondamentali per capire esattamente cosa faccia Themis. L’agenzia per il pattugliamento delle frontiere, però, fino a oggi ha diffuso questo genere di documenti soltanto a missioni concluse. “Nella mia esperienza, Frontex è molto riluttante a condividere i dati delle proprie missioni, soprattutto i piani operativi”, spiega Luisa Izuzquiza, ricercatrice indipendente che da un anno e mezzo deposita richieste di accesso agli atti presso gli uffici dell’Agenzia europea per il pattugliamento delle frontiere. La motivazione con cui le viene negato l’accesso è sempre la stessa: la pubblica sicurezza. A gennaio 2018, dopo l’ennesimo rifiuto, Luisa Izuzquiza ha portato Frontex di fronte alla Corte di giustizia europea per ottenere la pubblicazione dei contratti impiegati nella scorsa missione, Triton. Alcuni Stati membri, come la Svezia, non hanno avuto problemi a rendere pubblici i documenti con cui mettono a disposizione di Triton i propri mezzi. Tipologia di accordi e costi sono certamente molto simili anche nel caso di Themis. Le spese coperte interamente da Frontex sono un forte incentivo affinché i paesi diano il proprio contributo alle missioni. A partire da settembre 2015, la Commissione europea ha introdotto gli hotspot, sviluppati in via sperimentale in Grecia e in Italia, come prime strutture di identificazione dei migranti. A Catania c’è la sede della Task force regionale (Eurtf), che coordina le strutture italiane. Qui, per evitare sovrapposizioni fra le missioni gestite da ciascuno, siedono nello stesso ufficio uomini di Frontex, Easo (l’ufficio europeo per il sostegno all’asilo), Europol, Eurojust, operazione Sophia, polizia, Guardia di finanza e Guardia costiera. Meno chiara, però, è la situazione dei canali di comunicazione delle diverse missioni, specialmente fuori dai confini europei. Il principale canale di condivisione dei dati per i paesi del Mediterraneo si chiama Seahorse Mediterraneo Network, una piattaforma utilizzata dalle polizie dei paesi dell’area allo scopo di “rafforzare il controllo delle frontiere”. È un database al momento adottato da Spagna, Italia, Malta, Francia, Grecia, Cipro e Portogallo. La Commissione europea ha messo sul piatto 10 milioni di euro per fare in modo che possano partecipare allo scambio anche Libia, Egitto, Tunisia e Algeria. Se ne discute da ormai tre anni, ma l’unico paese che sembra poterci (e volerci) entrare – tramite l’Italia – è la Libia. Vuol dire che la guardia costiera locale avrà accesso, almeno via Seahorse, agli stessi database marittimi delle nostre forze dell’ordine. Nella “Relazione sulla performance per il 2016” (▻http://www.senato.it/service/PDF/PDFServer/DF/332676.pdf) del Viminale si legge che Seahorse “è stata installata nel Centro Interforze di Gestione e Controllo (Cigc) Sicral di Vigna di Valle (Roma), teleporto principale del Ministero della Difesa, mentre presso il Centro Nazionale di Coordinamento per l’immigrazione “Roberto Iavarone” – Eurosur, sede del Mebocc [Mediterranean Border Cooperation Center], sono stati installati gli altri apparati funzionali alla rete di comunicazione”. Il nodo italiano, dunque, sembrerebbe operativo: Seahorse è gestito dal Cigc Sicral, mentre il database-ombrello per mappare in tempo reale tutto ciò che sta accadendo in mare, Eurosur, è gestito dal Centro Roberto Iavarone, che è anche sede del Mebocc, la centrale operativa da cui passano le comunicazioni tra paesi europei, Frontex e paesi terzi. Nella stessa relazione c’è anche un secondo passaggio, che conferma la partecipazione dei libici: si legge che nel 2016 in tutto sei “ufficiali della Guardia Costiera-Marina Militare Libica” sono stati ospitati in Italia “con funzioni di collegamento con le autorità libiche e per migliorare/stimolare la cooperazione nella gestione degli eventi di immigrazione irregolare provenienti dalla Libia” nell’ambito del progetto Sea Horse Mediterranean Network. Non è chiaro, al momento, se gli ufficiali libici hanno poi avuto l’accesso al sistema Seahorse anche da Tripoli. Nel Mediterraneo centrale agisce poi la Marina militare. Rispetto alle tre forze dell’ordine che collaborano con Frontex ha altre regole di ingaggio e un’altra linea di comando. Come ora vedremo, ha anche altre priorità. Oltre a partecipare alle operazioni congiunte di Eunavformed, infatti, la Marina militare italiana ha riattivato la cooperazione con la Libia nata nel 2002, all’epoca di Gheddafi, con il nome in codice di Nauras. Difficile sapere quali navi vengono utilizzate e quali siano gli obiettivi strategici attuali dell’accordo militare tra Roma e Tripoli. I pochi elementi certi sono emersi grazie al caso giudiziario che ha portato questa primavera prima al sequestro e poi al dissequestro della nave Open Arms, fermata alla fine di marzo 2018 dopo un salvataggio in zona Sar, che aveva visto un duro scontro con le motovedette libiche. Attraverso le informative del comando generale della Guardia costiera italiana, i magistrati – prima di Catania e poi di Ragusa – hanno potuto ricostruire la gestione dei salvataggi del 15 marzo, quando il Mrcc di Roma aveva affidato il coordinamento delle operazioni alle motovedette libiche. Lì emergeva che la nave Capri della Marina militare italiana era intervenuta fin dalle prime ore del mattino parlando con Roma per conto di Tripoli e chiedendo espressamente di fermare l’intervento della Ong – le informative riportano anche un messaggio partito dall’addetto militare italiano a Tripoli. Dai brogliacci delle comunicazioni partite e ricevute dal Mrcc di Roma durante le operazioni di salvataggio si ricava inoltre che la Marina militare è intervenuta più volte – sia da unità navali inserite nell’operazione Nauras, sia dal Comando della squadra navale (Cincinav), che dipende direttamente dallo Stato maggiore della Difesa. Tra le carte dell’inchiesta c’è anche una relazione del comando di un’altra nave militare coinvolta, la Alpino – qui nelle vesti di polizia giudiziaria e presente a poche miglia dall’area di salvataggio dove stavano agendo contemporaneamente la Open Arms e la Guardia costiera di Tripoli. Lo stretto legame che esiste tra la Guardia costiera libica e la Marina Militare italiana appare ancora più evidente da un messaggio inviato dal comando delle motovedette libiche al Mrcc di Roma. Il numero di telefono del mittente – ovvero dell’autorità marittima libica – ha il prefisso +39 della rete italiana, e porta direttamente alla nave Capri. In altre parole, se chiami la Guardia costiera libica risponde la Marina militare italiana. E non è l’unico caso. Un paio di mesi dopo, la nave di soccorso tedesca Sea Watch ha ricevuto una telefonata dai libici durante un’operazione di salvataggio, che appariva sul display con un numero italiano. Quanto siano coinvolte la Marina militare e la Guardia costiera italiana nel respingimento dei migranti è un tema che presto verrà affrontato dalla Corte europea dei Diritti dell’Uomo, chiamata a discutere una denuncia presentata nei mesi scorsi contro le autorità di Roma. Themis sostituisce la vecchia missione Triton, con un mandato allargato e che poco si concentra sugli sbarchi dalla Libia. Per la prima volta una missione dell’agenzia europea Frontex supporta le forze dell’ordine marittime di un governo che dice di voler respingere i “clandestini” direttamente in mare. “Binxet – Sotto il confine” è un viaggio tra vita e morte, dignità e dolore, lotta e libertà. Si svolge lungo i 911 km del confine turco-siriano. Da una parte l’ISIS, dall’altra la Turchia di Erdogan. In mezzo il confine ed una speranza. 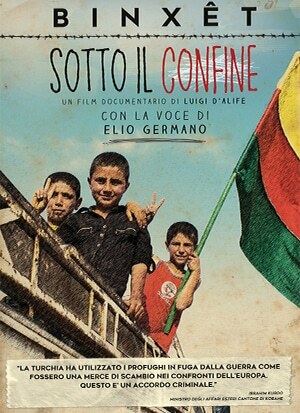 Questa speranza si chiama #Rojava, soltanto un punto sulla carta di una regione tormentata, terra di resistenza ma anche laboratorio di democrazia dal basso, luogo in cui, sui fucili di chi combatte, sventolano bandiere di colori diversi ma che che parlano lo stesso linguaggio; quello dell’ uguaglianza di genere, dell’autodeterminazione dei popoli e della convivenza pacifica. E’ su questa striscia di terra che si sta giocando la partita più importante; la battaglia contro daesh, il controllo e la chiusura del confine su sui si basa l’accordo tra Unione Europea e Turchia, la violenza repressiva ed autoritaria del dittatore Erdogan. Un racconto di denuncia sulle pesanti responsabilità dell’Europa nel sottoscrivere un accordo che violenta le vite di migliaia di persone, solo un piccolo tassello nella storia di un popolo che continua a non rassegnarsi all’idea di essere diviso dai confini, storie di uomini, donne e bambini che sono l’immagine del non arrendersi. 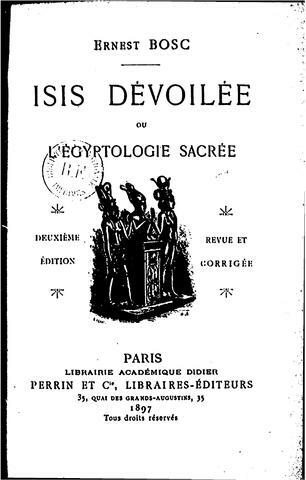 L’Égypte pharaonique fait rêver et suscite d’innombrables ouvrages dont certains véhiculent une fausse image de cette prodigieuse civilisation qui a brillé pendant plus de trois mille ans. L’Égypte pharaonique fait rêver et suscite d’innombrables ouvrages dont certains véhiculent une fausse image de cette prodigieuse civilisation qui a brillé pendant plus de trois mille ans. Florence Quentin fait revivre le rayonnement spirituel des différents sites visités avec une passion nourrie par sa compétence. Elle entraîne le lecteur dans des lieux connus, parfois plus secrets où elle révèle les sens cachés et les rituels autour de l’amour, de la mort ou de la résurrection. On se rend alors compte combien cette civilisation retrouvée sous les sables nous est proche. Combien son art, sa morale et sa sagesse peuvent éclairer nos vies. C’est ainsi que l’Égypte ancienne devient vivante. 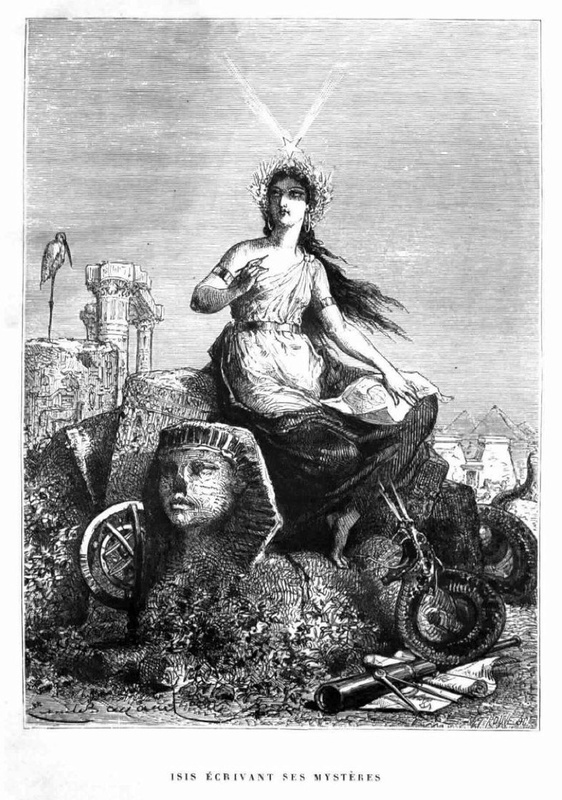 La mythique déesse égyptienne « Isis » avec Florence Quentin. With every flood or bout of extreme heat or cold, the jihadists would reappear, often supplementing their sales pitches with gifts. When a particularly vicious drought struck in 2010, the fifth in seven years, they doled out food baskets. When fierce winds eviscerated hundreds of eggplant fields near Kirkuk in the spring of 2012, they distributed cash. As farming communities limped from one debilitating crisis to another, the recruiters—all members of what soon became the Islamic State—began to see a return on their investment. Two agricultural laborers in Azwai, a blink-and-you’ll-miss-it farming community just south of Shirqat, ran off to join the jihadists in December 2013. Seven more from outlying villages followed a month later. By the time the Islamic State (also known as ISIS) seized this swath of Iraq—along with most of the country’s west and north—in a brutal summer-long blitzkrieg in 2014, few locals were surprised to see dozens of former fertilizer market regulars among its ranks. Le Burkina Faso, le Mali, la Mauritanie, le Niger et le Tchad ont décidé de faire front commun en créant la #Force_conjointe_du_G5_Sahel (#FC-G5S), une armée constituée de 5 000 soldats qui sera déployée dans cette région particulièrement agitée pour affronter les combattants islamistes. Mais une nouvelle réponse militaire à la crise est-elle la solution ? On 23 February 2018, the European Commission is hosting the International High Level Conference on the Sahel in Brussels, with the African Union, the United Nations and the G5 Sahel group of countries, to strengthen international support for the G5 Sahel regions. Why is the EU working with Africa’s “G5 Sahel countries”? In 2014, Burkina Faso, Chad, Mali, Mauritania, and Niger set up the “G5 Sahel” group of countries to foster close cooperation in the region and tackle the major challenges that these countries face. Since then, the EU has stepped up cooperation with this African-led initiative to build a strong partnership on many fronts: from political dialogue, to development and humanitarian support, to strengthening security and tackling irregular migration. The Sahel region faces a number of pressing challenges such as extreme poverty, frequent food and nutrition crises, conflict, irregular migration and related crimes such as human trafficking and migrant smuggling. 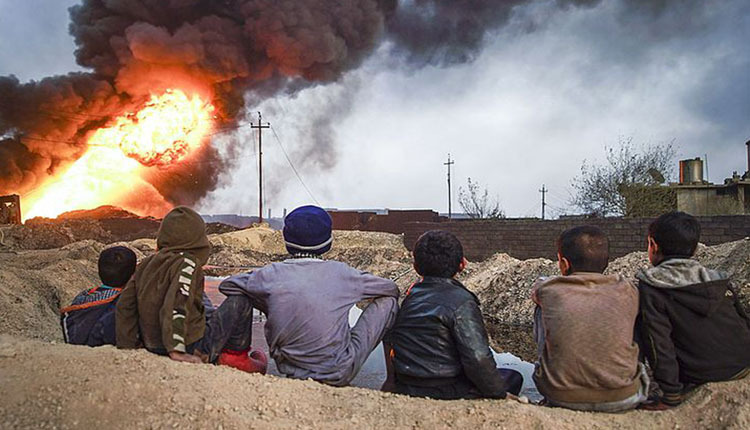 Violent extremism also poses a serious security challenge to the region and has potential spill-over effects outside the region, including Europe. What are the EU’s main areas of support to the G5 Sahel countries? Political partnership: The EU is a strong political partner of the G5 Sahel countries and has set up regular “EU-G5” dialogues. High Representative Vice-President Federica Mogherini has held annual meetings with G5 Sahel Foreign Ministers to strengthen cooperation in areas of shared interest such as security, migration, counter-terrorism, youth employment, humanitarian response and long-term development. The EU is also strongly engaged in the Mali peace process. Development assistance: The EU, together with its Member States, is the biggest provider of development assistance to the region with €8 billion over 2014-2020. It uses all its tools to support development efforts in the region, notably the ’EU Emergency Trust Fund for stability and addressing root causes of irregular migration and displaced persons in Africa’ under which €843 million has been committed so far. The EU is also a member and key supporter of the newly formed Alliance for the Sahel, set up to coordinate existing EU and Member States development assistance better in the region, in a faster and more interlinked way than before through joint action. Security support: The EU supports concrete regional-led security initiatives. The EU has already provided an initial €50 million to establish the African led G5 Sahel Joint Force which aims to improve regional security and fight terrorist groups. The EU is itself a key security player in the region, with its 3 active Common Security and Defence Policy missions; EUCAP Sahel Niger, EUCAP Sahel Mali, EU training mission (EUTM) in Mali. How is the EU involved in the Alliance for the Sahel? The EU is a member of the Alliance for the Sahel, launched and signed by the EU, France and Germany in July 2017. It is currently composed of 9 members: France, Germany, Italy, Spain, the UK, the EU, UNDP, the African Development Bank (AfDB), and the World Bank. It aims to coordinate and deliver aid quicker and more efficiently in the region. It will have a particular focus on peripheral, cross border and fragile zones of the Sahel. Since its launch, the Sahel Alliance has identified priority six priority areas: (1) youth employment; (2) rural development, agriculture and food security; (3) climate, notably energy access, green energy and water; (4) governance; (5) support for return of basic services throughout the territory, including through decentralisation; (6) security. What security support does the EU provide in the Sahel? The EU has fully supported this African led initiative from the very beginning and provided an initial contribution of €50 million to help set it up. This EU funding is provided through the African Peace Facility and can only cover non-lethal equipment. Building on the EU’s defence planning capacity and expertise, the EU has set up a one of a kind Coordination Hub to gather together the many offers of international support to the G5 Joint Force. The Hub is already up and running and enables donors to channel much needed assistance. In practice it works by matching the offers of donors to a Recognised List of Needs provided and determined by the Joint Force. The Joint Force will be comprised of troops from Mali, Mauritania, Niger, Burkina Faso and Chad, and will operate in all five countries. To step up action on security, particularly in border areas in the Sahel countries which face terrorist and security threats, the G5 Sahel countries have set up their own regional security force. Concretely, the G5 Joint Force will have permanent forces deployed along the borders, able to operate together under a centralised command and communication structure. This will help tackle the pressing terrorist and security threat in the region, which is a cross-border issue for all the countries concerned. 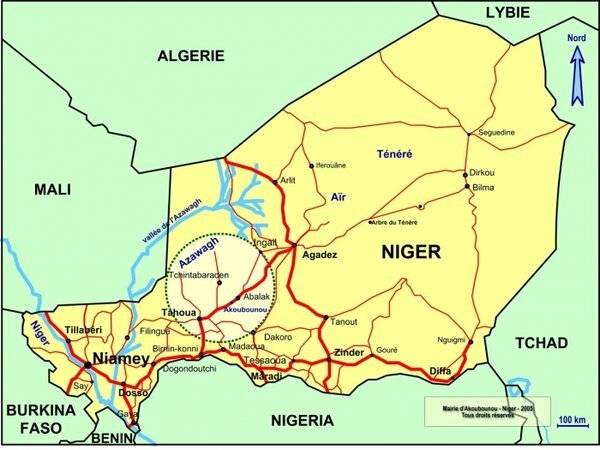 EUCAP Sahel Niger is a civilian mission supporting the Nigerien security institutions/forces (Police, Gendarmerie, National Guard, Armed forces) to reinforce the rule of law and Nigerien capacities to fight terrorism and organised crime. Since May 2015, its mandate has been enlarged to a fifth objective related to migration. Niger has opened a field office in Agadez, with a permanent presence activated from May 2015. EUCAP Sahel Mali is a civilian mission providing expertise in strategic advice and training to the Malian Police, Gendarmerie and National Guard and the relevant ministries in order to support reform in the security sector. A renewed mandate extends the mission until January 2019 and includes a reference to ‘the Accord for Peace & Reconciliation’ and instructions to contribute to the inter-operability and coordination of the internal security forces of the G5 Sahel countries and the Malian internal security forces. EUTM Mali is a military training mission providing advice to the Malian authorities in the restructuring of the Malian Armed Forces, through the training of battalions (8 between 2013 and 2017) and support for the elaboration of the first Defence Programming Law ever adopted in Mali. Since July 2017, two security experts – one military and one civil – have been deployed in each of the five Sahel countries as part of the regionalisation of the CSPD missions. Their mandate currently runs until May 2018. How does the EU support the peace process in Mali? The EU is actively supporting Mali’s peace process and is a guarantor of the Peace and Reconciliation Agreement signed in 2015. The EU supports the United Nations Resolution for targeted sanctions against those who threaten the Mali peace agreement, and is a major partner of Mali on security. Two EU CSDP missions, one military (EUTM) and one civilian (EUCAP Sahel Mali) provide strategic advice and training to Mali’s Armed and Security Forces and relevant ministries in order to contribute to the restauration of Malian territorial integrity, the protection of the population, and to support reforms in the security sector. High Representative/Vice-President Federica Mogherini visited Mali in June 2017 and announced EU support of €500,000 to the ’Comité de suivi de l’accord pour la paix et la réconciliation au Mali’. 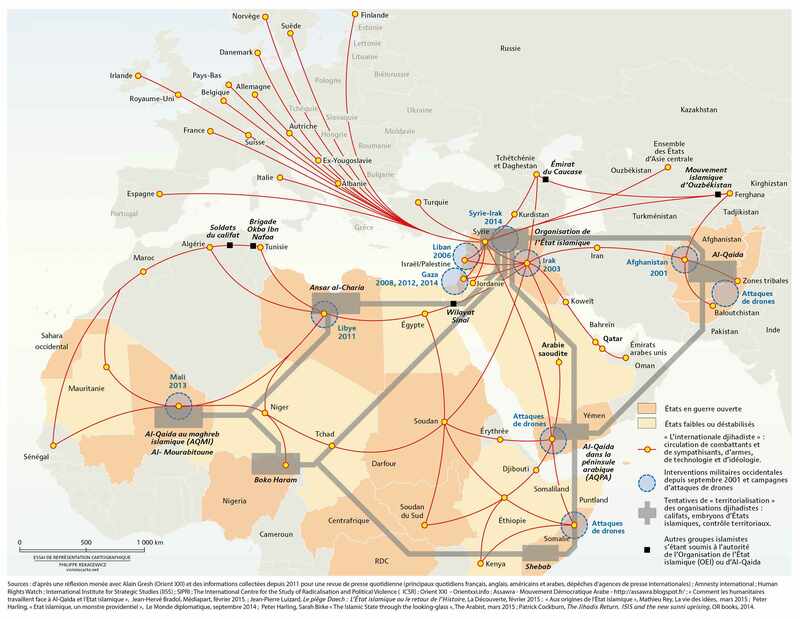 How does the EU support the region with humanitarian assistance? The European Union is one of the largest providers of humanitarian aid to the Sahel countries (including Nigeria and Senegal). In 2017, the European Commission allocated €234 million, including €90.2 million for food assistance, €56.7 million for nutrition, €22.5 million for health and €11 million for protection. Furthermore, the EU also supports disaster risk reduction initiatives to enhance emergency preparedness and response. Thanks to EU support, over 1.9 million vulnerable people received food assistance in 2017. The EU also supported the treatment of 455,000 children for malnutrition and in need of assistance. European Development Fund: €160 million (2014-2020): support for (i) rural development, (ii) good governance and (iii) the improvement of the health system. African Investment Facility: €20.5 million for the construction of infrastructure. Emergency Trust Fund for Africa: €54.2 million (since 2016) plus regional projects. European Development Fund: €686 million (2014-2020): support for (i) food security and resilience (ii) supporting the State in delivering social services (iii) security, governance, and peace consolidation (iv) road infrastructure for regions at risk of insecurity and conflict. Deux soldats français ont été tués au Mali, mercredi 21 février. Selon ce site d’information burkinabé, c’est le signe que le sommet sur le G5 Sahel, qui se tient à Bruxelles vendredi, doit proposer des avancées concrètes pour lutter contre le terrorisme dans la région. BRUSSELS (Reuters) - International donors pledged half a billion dollars for a multinational military operation in West Africa’s Sahel region on Friday, as Europe seeks to stop migrants and militants reaching its shores. In the context of the High Level Conference on the Sahel, an international commitment of 414 million Euro’s was announced by the European Commission on February 23. The ambition of tackling root causes of instability and irregular migration resembles the focus areas of the EU Partnership with Sahel. The announcement of funding confirms the willingness of EU and Member States to commit substantial economic and political investment in the Sahel region (Burkina Faso, Chad, Mali, Mauritania, Niger) including 8 billion Euro in development assistance (2014-2020), and 100 million Euro additional contribution to the Joint Force of the G5 Sahel. From the EU-G5 Sahel strengthened partnership, created in 2014 to the Sahel Regional Action Plan (RAP), adopted in 2015, and to the German French led Alliance for the Sahel in 2017, migration management and security are constant and interlinked areas of focus. “It is positive that Europe is increasing funding for the Sahel region where the needs are evident and urgent. However, it is vital that the focus is on the long-term development, with the SDG as the yardstick, and on the security of the people in the region. Focusing spending on prevention of migration to Europe doesn’t tackle root causes – and may even exacerbate them by disrupting local economic migration. 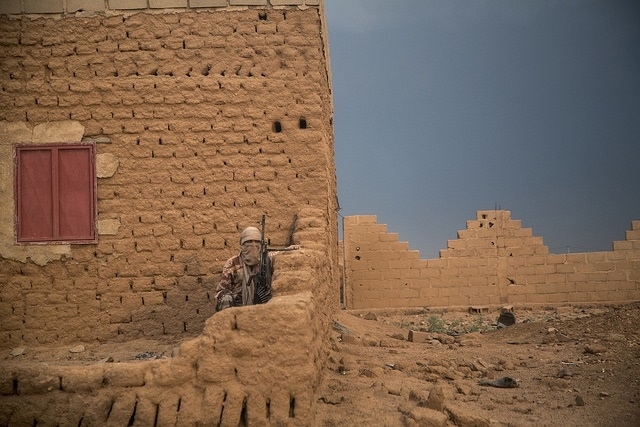 There are multiple development, human security, and sector reform activities, run by local populations and authorities across the Sahel, in which the EU could invest,” says ECRE Secretary General Catherine Woollard. The increased focus on security and migration control was criticized by Francesco Rocca, head of the International Federation of Red Cross and Red Crescent Societies (IFRC) after a recent visit to Niger meeting stranded migrants unable to reach Europe and unable to return home: “When we talk about European migration policies, it is only about security – how they are not allowed to enter – and not about the dignified manner in which you have to treat human beings,” he told the Thomson Reuters Foundation. France is heavily engaged in Sahel and has 4000 troops in the region, is conducting asylum procedures in Niger as the first European country to do so on the African continent and a French draft law on immigration and asylum put forward by the Macron government on February 21 defines Niger as a safe third country. The European Commission (February 27) as well as the Council of the European Union (February 26) have announced additional substantial funding packages with a focus on migrant management. Les Ministres de l’Intérieur et des Affaires étrangères d’#Allemagne, du #Burkina_Faso, de la #Côte_d’Ivoire, de l’#Espagne, de la #Guinée, de la #France, de l’#Italie, de la #Libye, du #Mali, de la #Mauritanie, du #Niger, du #Sénégal, du #Tchad, ainsi que l’Union européenne, l’Organisation des Nations unies, la Commission de l’Union africaine, les Secrétariats du G5 Sahel et de la #CENSAD, se sont réunis à Niamey le 16 mars 2018, à l’invitation du Niger assurant la Présidence du G5 Sahel, pour améliorer la coordination de la lutte contre le trafic illicite de migrants et la traite des êtres humains entre les Etats d’origine, de transit et d’arrivée de migrants. Ont participé à cette réunion l’Organisation Internationale des Migrations et le Haut- Commissariat aux Réfugiés des Nations Unies et l’Office des Nations unies contre la drogue et le crime. 2. Rappelant que le Niger, le Tchad, la Libye, l’Union européenne, la France, l’Allemagne, l’Italie et l’Espagne ont affirmé, dans une déclaration conjointe adoptée à Paris le 28 août 2017, leur volonté de lutter contre les réseaux de passeurs afin de limiter les migrations irrégulières vers l’Europe et de protéger les migrants contre les atteintes aux droits de l’Homme et les conditions dégradantes qu’ils subissent. Ils sont également convenus à cette fin de renforcer leur soutien opérationnel aux efforts des pays de transit des migrations. 3. Soulignant que ces objectifs ont été réaffirmés lors du Sommet Union européenne-Union africaine d’Abidjan le 29 novembre 2017 qui a permis l’adoption d’un plan en neuf points pour renforcer la coopération entre les services de police et de renseignement pour lutter contre les réseaux de trafiquants et des passeurs et mettre ainsi un terme à leurs activités, y compris les circuits financiers et leurs avoirs, et aux crimes subis par les migrants. 4. Reconnaissant les efforts en vue de la réinstallation des réfugiés identifiés et évacués de la Libye, en coopération étroite avec le Haut-Commissariat des Nations Unies pour les réfugiés et ce conformément aux priorités de l’UE, de l’Allemagne, de l’Espagne, de la France et de l’Italie qui avaient convenu de mener des missions de protection au Niger et au Tchad, en étroite concertation et en accord avec leurs gouvernements. 9. Mettant en exergue la nécessité de développer les conditions d’émergence d’une économie alternative à l’économie souterraine du trafic illicite des migrants et de la traite des êtres humains par la création de nouvelles sources de revenus au profit des communautés affectées par le trafic ou en passe de l’être dans les pays de transit. 10. Saluant les efforts déjà fournis dans la gestion et la gouvernance de la migration par les pays africains, l’UE et ses Etats membres à travers la mise en œuvre du Plan de la Valette et les dialogues politiques migratoires nationaux et régionaux. 11. Rappelant le soutien continu offert par l’UE et ses Etats membres qui ont déjà permis, entre autres, en partenariat avec l’Organisation Internationale pour les Migrations et le Haut-Commissariat des Nations Unies pour les Réfugiés, le retour volontaire et la réintégration de 15 000 migrants et l’évacuation de plus de 1000 réfugiés de Libye en accord avec les engagements pris lors du Sommet Union Africaine – Union Européenne d’Abidjan. 13. Continuer de soutenir l’élaboration de stratégies migratoires nationales cohérentes visant à garantir les droits des migrants et permettant de judiciariser l’ensemble des formes de criminalité associées au trafic illicite de migrants et à la traite des êtres humains, de lutter contre le blanchiment d’argent et de saisir les avoirs criminels. 14. Promouvoir notamment la Convention des Nations Unies contre la criminalité transnationale organisée et en particulier la ratification de ses deux protocoles, l’un visant à prévenir, réprimer et punir la traite des personnes, en particulier des femmes et des enfants, l’autre à lutter contre le trafic illicite de migrants par terre, air et mer. 15. Faciliter davantage le partage d’expériences, la conduite de missions techniques d’assistance menées par les Etats déjà parties à ces protocoles et l’établissement d’un mécanisme de suivi de l’élaboration des cadres législatifs nationaux visant à cette ratification. 16. Encourager la ratification par les Etats membres de la CEDEAO impliqués dans la lutte contre le trafic de migrants de tous les protocoles et conventions de cette organisation contre la traite des Personnes et le Trafic illicite de Migrants, afin de disposer d’un arsenal juridique uniforme pour développer la coopération policière entre ces Etats. 17. Soutenir, dans les pays africains d’origine et de transit des migrants la création d’équipes conjointes d’investigation (ECI), coordonnées étroitement avec les forces de police et de gendarmerie nationales, les forces armées et les gardes nationales, ainsi que la Force Conjointe du G5 Sahel, ayant pour mission d’identifier et d’interpeler les membres de réseaux d’immigration irrégulière et de traite des êtres humains, et assurer un financement pérenne du fonctionnement de ces structures. 18. Soutenir, dans les mêmes pays, la création de groupes d’action rapide – surveillance et intervention (GAR-SI), destinés à stabiliser les zones isolées et les régions transfrontalières pour faire cesser les trafics de migrants et lutter contre la traite des êtres humains. Assurer la durabilité et la bonne intégration de ces dispositifs par les autorités nationales dans le maillage national des forces de défense et de sécurité, ainsi que la coordination régionale de ces dispositifs nationaux, afin de pouvoir lutter efficacement contre les réseaux transnationaux. 19. Appuyer l’évolution des mandats des missions EUCAP SAHEL Niger et EUCAP Mali, ainsi que EUBAM Libye, dans le cadre d’une approche coordonnée aux actions de l’Union Européenne de sécurité et de défense commune dans la région, en vue de renforcer le soutien aux forces de sécurité intérieure contre les réseaux de passeurs. 20. Sur la base d’AFIC (Africa-Frontex Intelligence Community), renforcer la coopération avec l’Agence Européenne de Garde-Frontières et de Garde-Côtes (Frontex) et établir des partenariats opérationnels entre les pays d’origine et de transit des flux migratoires et l’Agence Européenne de Garde-Frontières et de Garde-Côtes, notamment en développant davantage l’échange d’informations et le travail analytique conjoint concernant la gestion des frontières, y compris la lutte contre le trafic illicite de migrants, la traite des êtres humains et d’autres activités illicites affectant la sécurité des frontières..
21. Assurer une coordination régionale entre équipes nationales d’investigation pour assurer le démantèlement effectif des réseaux transnationaux. En particulier, établir une matrice recensant des points de contacts nationaux en charge de la lutte contre les réseaux de trafic de migrants et de traite des êtres humains, pour assurer des échanges réguliers entre services de sécurité intérieure. 22. Assurer la bonne appropriation et le fonctionnement des systèmes d’échanges et de partage d’information- qui pourront être favorisés par la mise en place dans chaque pays d’un système électronique centralisée d’information policière pour assurer la coordination de la lutte contre la criminalité organisée, y compris en matière de trafic de migrants et de traite des êtres humains, qui sont actuellement développés en Afrique de l’Ouest, tels que la plateforme de coopération en matière de sécurité (PCMS) du G5 Sahel et le Système d’Information Policière pour l’Afrique de l’Ouest (SIPAO/WAPIS). 3) Renforcer les capacités technique et matérielle des Forces de défense et de sécurité en charge de la lutte contre le trafic illicite et la traite de personnes dans les pays d’origine et de transit. 23. Développer et intensifier des formations des membres des Forces de Défense et Sécurité chargées de la lutte contre le trafic de migrants dans tous les pays pour qu’elles développent un savoir spécifique dans le domaine. Les activités de formation menées par EUCAP Sahel Niger et Mali peuvent servir de référence pour l’élaboration et la conduite de ces programmes de formation (détection de faux documents, enquêtes sur réseaux, etc.). 24. Soutenir la mise en place des infrastructures et l’équipement des Forces de Défense et de Sécurité dans le cadre du contrôle des frontières dans des zones névralgiques sur la route de migration irrégulière de la Méditerranée centrale (Nord Niger et Nord Tchad). 25. Soutenir la mise en place et le renforcement de dispositifs de coopération judiciaire à l’échelle de l’Afrique de l’Ouest. En particulier, assurer la consolidation du réseau d’Autorités Centrales et de Procureurs d’Afrique de l’Ouest (WACAP), établi au sein de la CEDEAO et qui associe la Mauritanie, notamment en appuyant financièrement le développement du dispositif. 26. Travailler à la coordination des réseaux judiciaires avec les mécanismes d’entraide judiciaire qui existent dans les pays de destination des migrants et des victimes de la traite afin de disposer d’un cadre cohérent associant pays d’origine, de transit et de destination des migrations irrégulières. Promouvoir des mécanismes d’entraide judiciaire et d’extradition entre les Etats où de tels mécanismes n’existent pas. 27. Renforcer les dispositifs nationaux de contrôle des frontières, associant à la fois les forces de défense et les forces de sécurité intérieure, pour identifier les voies empruntées par les flux migratoires irréguliers et permettre l’interception des moyens de transport utilisés par les réseaux de trafic illicite de migrants et de traite des êtres humains. 28. Renforcer les dispositifs régionaux de surveillance des frontières dont l’action doit contribuer à la lutte contre l’activité des réseaux de trafic de migrants et de traite des êtres humains. A cet égard, appuyer la pleine mise en œuvre du mandat de lutte contre les trafiquants de migrants et la traite des êtres humains au sein du G5 Sahel, en particulier par le développement au sein des PC de fuseau d’une composante police et justice afin d’assurer la continuité de la chaîne pénale et un traitement judiciaire approprié des personnes interpelées. 30. Respecter les termes des engagements pris dans la déclaration conjointe adoptée à Paris le 28 août 2017 et réaffirmés lors du Sommet Union européenne-Union africaine d’Abidjan le 29 novembre 2017 concernant la réinstallation par les pays européens des réfugiés et des demandeurs d’asile évacués hors de Libye. 31. Mettre en place des mécanismes de référencement, d’orientation et de prise en charge des victimes de la traite des êtres humains afin d’éviter qu’elles soient à nouveau la cible de réseaux criminels de traite. Mettre en place des dispositifs d’accompagnement des migrants interpellés avec les passeurs afin d’éviter de nouvelles sollicitations ou tentatives de migration irrégulière. 7) Assurer le développement durable et la promotion d’une économie alternative pour la maitrise des flux migratoires. 33. Continuer la mise en œuvre effective du plan de la Valette par la prise en compte des programmes de développement durable pour s’attaquer aux causes profondes de la migration irrégulière et des programmes pour la maitrise des flux migratoires et le développement d’une économie alternative. 34. Promouvoir des alternatives économiques au trafic dans la région et développer la résilience des populations locales à travers l’amélioration de l’accès aux services de base et la création d’opportunités d’emploi, notamment pour les jeunes. 36. Instituer un mécanisme permanent de suivi des engagements pris pendant la présente réunion. 37. Organiser le 18 juin 2018, à Niamey, un atelier de concertation régionale sur la lutte contre le trafic de migrants et la traite des êtres humains, qui réunira les directeurs généraux des services de défense et de sécurité intérieure, les directeurs généraux chargés de la migration, les points focaux nationaux en charge de la lutte contre les réseaux de trafic et de traite des Etats participants, pour accompagner la mise en œuvre pratique des engagements contenus dans cette déclaration. 38. Informer les pays partenaires des progrès effectués dans la mise en œuvre des engagements contenus dans cette déclaration par le biais des points de contact des participants. 30 buses + 10 trucks were used to transfer #ISIS fighters from #Raqqa city yesterday afternoon . After free passage negotiations with the U.S. and its Kurdish proxy forces, ISIS is moving its fighters out of Raqqa city. When the Syrian government reached similar agreements the U.S. childishly criticized it. The U.S. coalition claims that it was “not involved in the discussions” that led to the Raqqa free passage agreement. A BBC News report shows that the opposite is true.